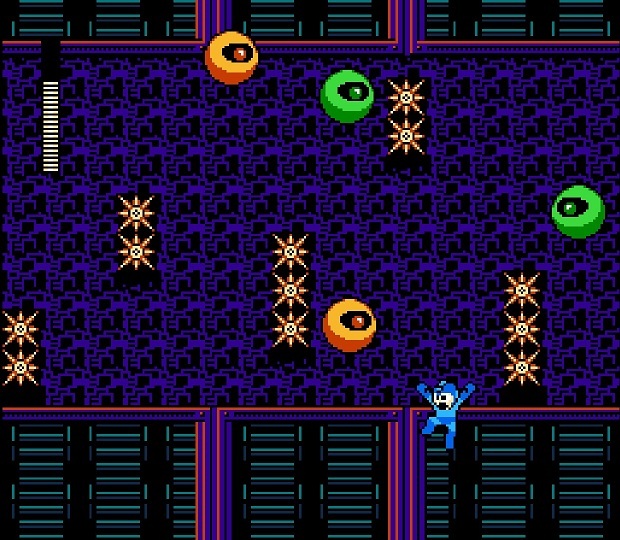 In the years between when I stopped playing Mega Man games and his miraculous resurrection in Mega Man 9, there were plenty of games I enjoyed. Games I loved, in fact. Resident Evil, Metroid Prime, Pikmin…even the game that remains my all-time favorite, Majora’s Mask. I still enjoyed games. The medium evolved and in many ways no longer felt like the one I grew up with, but if I sat down looking for a good time, there were more than enough games that would give it to me. 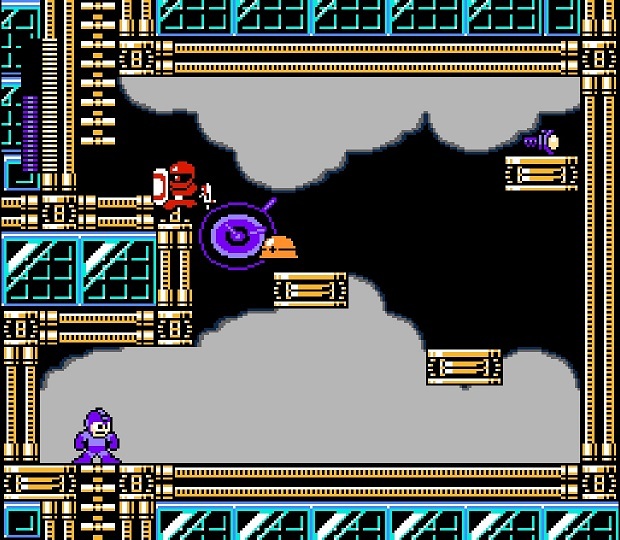 Then Mega Man 9 came along, and it didn’t just give me another good time. It reminded me of what games used to be like. I don’t just mean that it reminded me what they used to look and sound like, though it certainly did those things. I mean that it reminded me of what games used to feel like. Of what gaming itself used to feel like. As games through the generations grew larger, deeper, more complex, they almost uniformly lost the feeling of addictive simplicity that attracted me in the first place. One of my earliest gaming memories is playing Outlaw on the Atari 2600 with my uncle Glenn. It was a two-player game that saw each of us controlling a cowboy, firing blocky projectiles at each other. I’d guess there was a single-player mode as well, but I’m not sure I ever actually touched that. Whenever a shot connected, the struck cowboy would fall onto his rear end, which always made the two of us laugh. The game couldn’t have been less complex. Or, well, I suppose it could have, as every so often a stagecoach would drift through the center of the screen, absorbing shots. (And – what seemed a revelation at the time – sustaining visible damage if it did so.) Ultimately, though, it was a game perfectly suited to the one-button philosophy of Atari. The learning curve was practically non-existent. You could play the game with your younger brother and have just as much fun as you would with your uncle. It took no time to explain, and no time to learn. The game existed, and you innately understood everything there was to understand the moment you saw the game in action. Fast forward a few generations, and that was almost never the case any longer. This, I believe, is why I fell away from gaming in my college years. With so little time to devote to anything other than school and work, it ended up being a rare occasion that I could sit down and puzzle out the complex controls and mechanics of any recent game. In a few cases, I took that time. In the overwhelming majority of cases, I didn’t. I remember playing games with my friends in college, because it was still a great way to unwind. When we did so, however, it tended to be something from an older system. 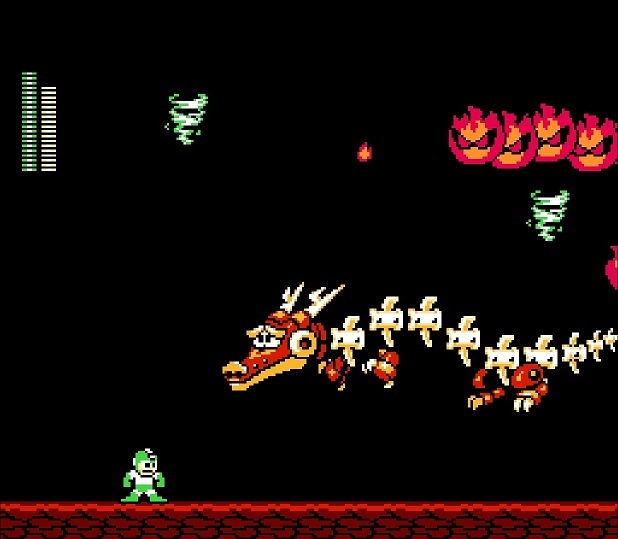 We’d grab some beers and see how far we could make it in Bubble Bobble. We’d load up Kirby’s Adventure because we knew we could plow through it in one long sitting, and what better way to kick off a weekend? We’d shout and howl through session after session of the first two Mario Kart games, feeling immediately as addicted as we were when they were new. And, speaking of addiction, I remember a friend in the journalism program who came very close to flunking a semester’s worth of classes because she couldn’t tear herself away from Dr. Mario. Clearly I wasn’t the only one yearning for simplicity in my games, though I certainly wouldn’t have been able to articulate that feeling. 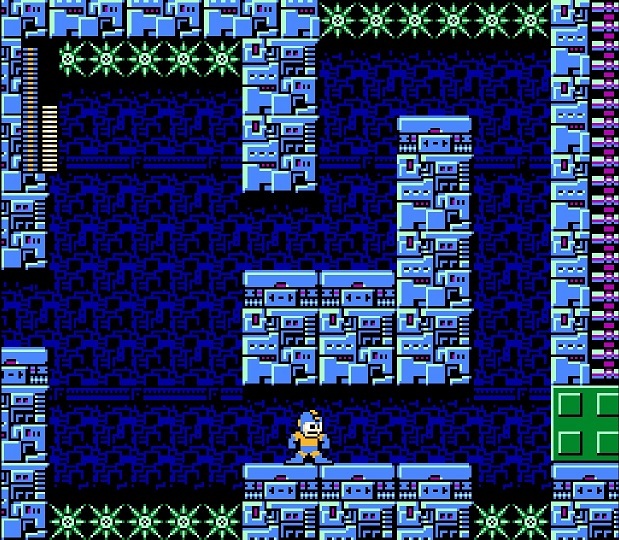 With Mega Man 9, I had exactly that simplicity in a brand-new game. I loved it. And, for the first time in a long time, I didn’t just play a new game and move along when I finished it or got bored of it…I played a new game over and over and over again. I finished it and started it over from scratch. I pushed myself to learn it more thoroughly and to get better at it. 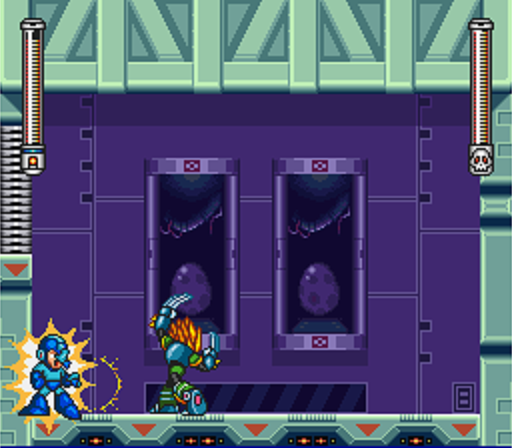 Defeating Dr. Wily wasn’t enough; I wanted to master the game. That was a desire I hadn’t felt since I was a child. Possibly since I’d played an earlier Mega Man game. 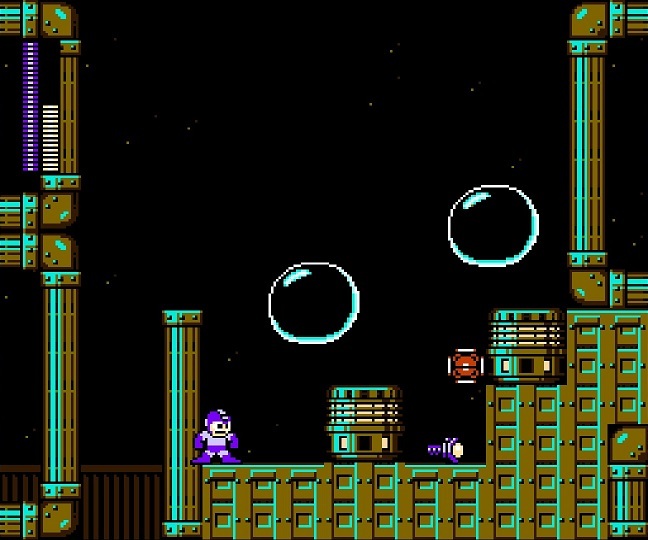 I didn’t speak about Mega Man 9‘s achievement system much in my last writeup, but I have to admit that it helped inspire me to dip back in as often as I did. 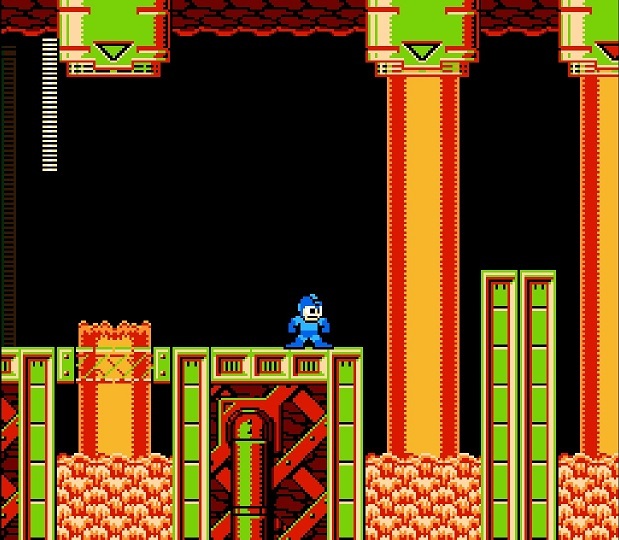 Collecting 999 screws could have encouraged me to stand around and farm respawning enemies, but it really just provided a reason to dive back into a particular save file and enjoy the trip through Mega Man 9 all over again. Beating the game multiple times to unlock certain achievements gave me that much more of a push toward mastery. And completing the game quickly, or without dying…well, those things seemed tough, but I was certainly getting faster and dying less with each attempt, so maybe I could actually accomplish them. Only one achievement seemed truly impossible, and it’s the one that cracked open the entire series for me once again, to enjoy as if they were brand new games I’d come to love in all new ways. It was the Mr. Perfect achievement. 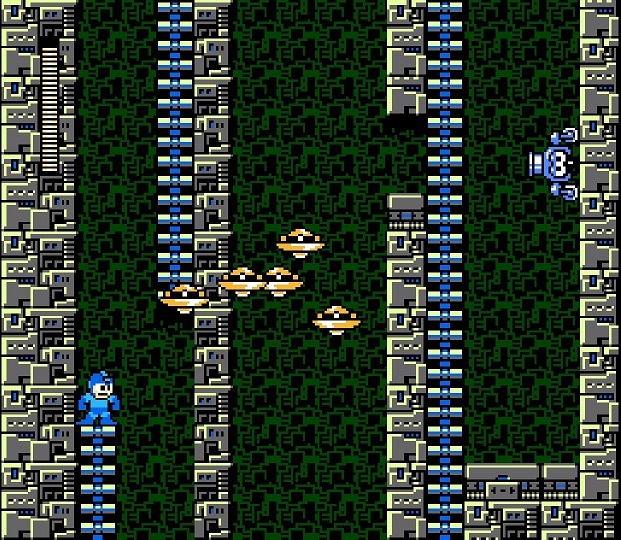 That’s the one that requires you to complete Mega Man 9 – still one of the most difficult games I’ve ever played – without taking any damage whatsoever. In a sense, this seemed doable. 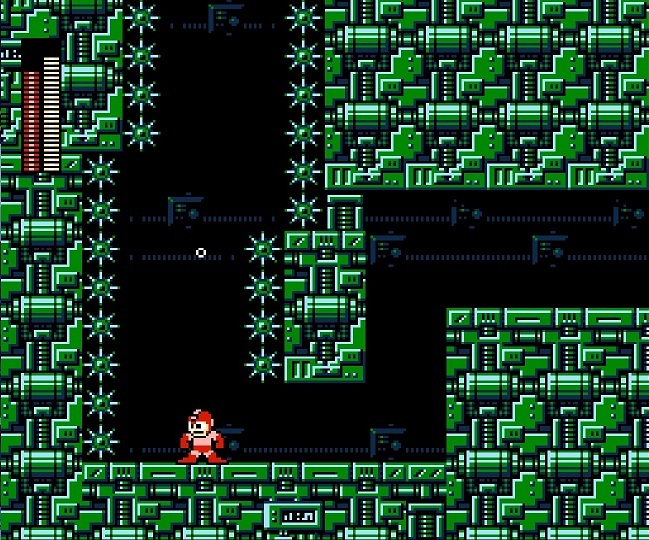 You were able to save after each level, so all you’d need to do is reload your save whenever you took damage, and you’d largely retain your progress. But that, of course, still required you to beat every level without taking damage. 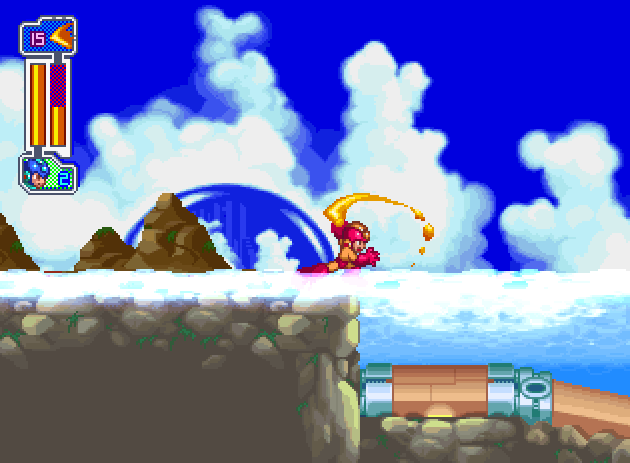 And what happened when you got to the Wily stages? Hell, what about the boss rematches toward the end, followed by each of Wily’s forms in immediate succession? You had to do all of that in a single stretch without taking damage even once? How on Earth was that possible? 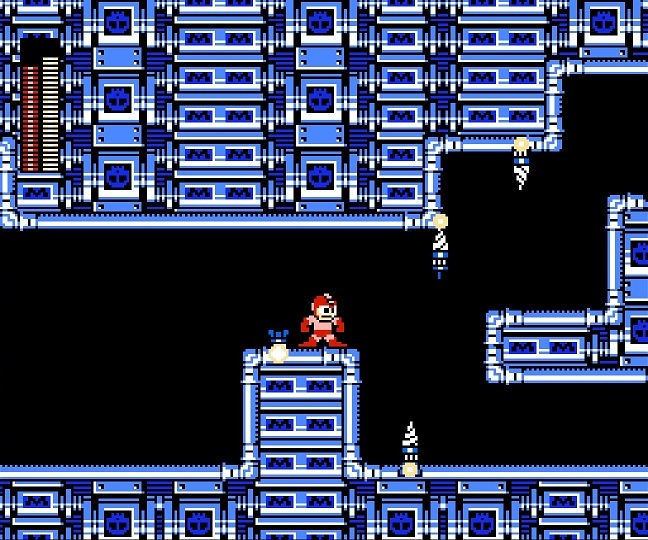 Way back in my review of the first Mega Man, I talked about how we’d gather around a friend who was good at some particular game, and watch him first-hand, demonstrating his skills for all of us to see. There were plenty of rumors about impossible things in video games, and rarely could we actively disprove them. But when it came to stuff we could prove, we did. Everything we knew, we knew from direct, personal experience. So I turned to the modern equivalent of those play sessions: YouTube. I wanted to see somebody, somewhere, unlocking that Mr. Perfect achievement that I still didn’t believe was possible. 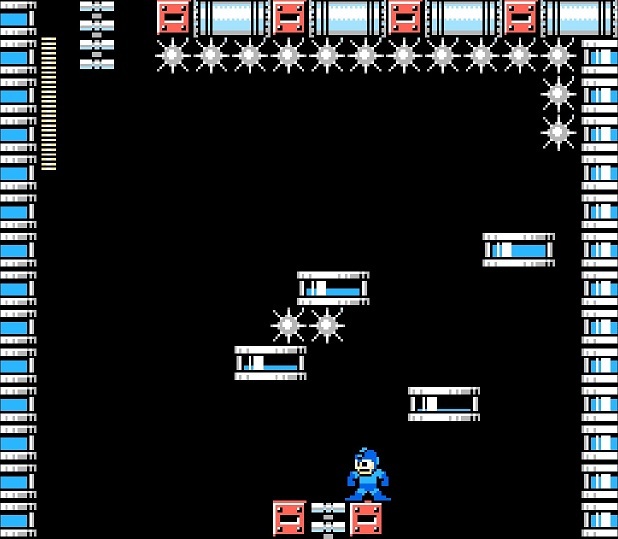 And not only did I find that; I found videos of people playing through every Mega Man game, stage by stage, without taking damage once. My childhood reeled with disbelief. It was hard enough just to finish those games…now I’m learning that it was actually possible to pound them out without ever getting hit? And so I watched those videos. I studied them. They were fascinating. 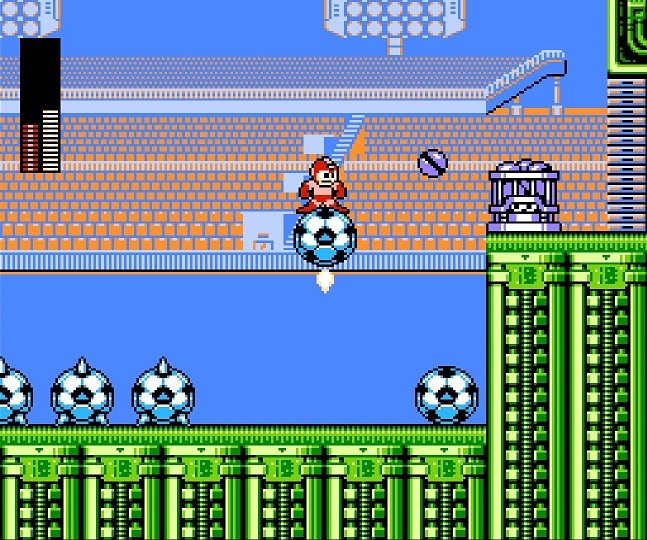 Little Mega Man could do almost nothing other than jump and shoot, but that was enough to get him through literally any level unscathed. My mind was blown. 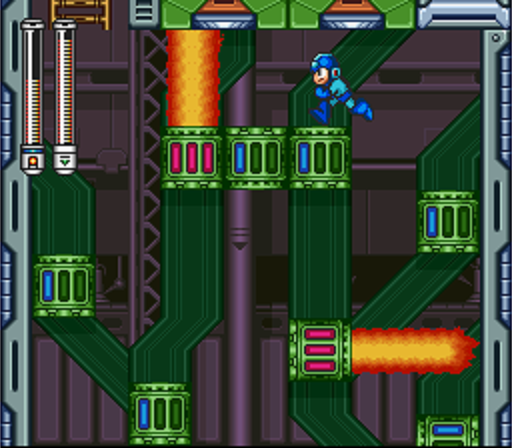 And, sure enough, I wanted to dig back through the old Mega Man games to try it for myself. I succeeded. 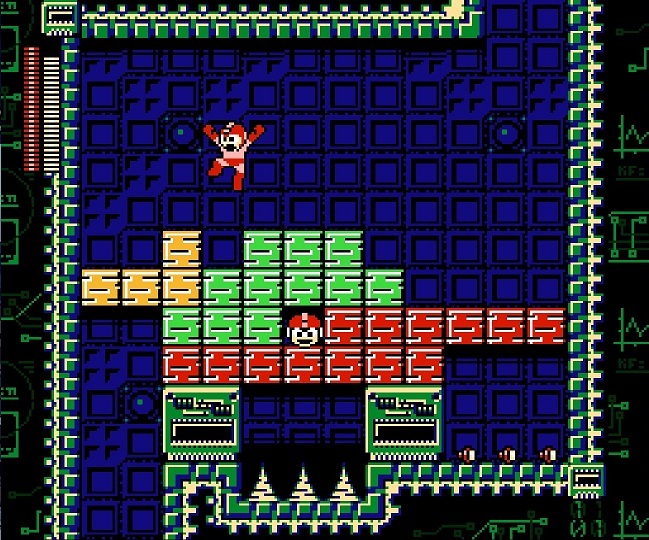 Level by level, I learned to beat every Robot Master stage without taking damage. 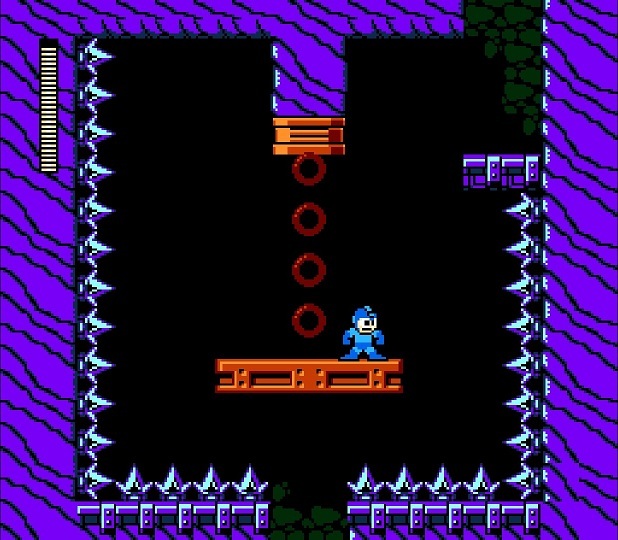 I did this – and uploaded my own results to YouTube – for most of the games in the series: Mega Man through Mega Man 7, with a detour through Mega Man V for the Game Boy, which had unique stages and bosses. 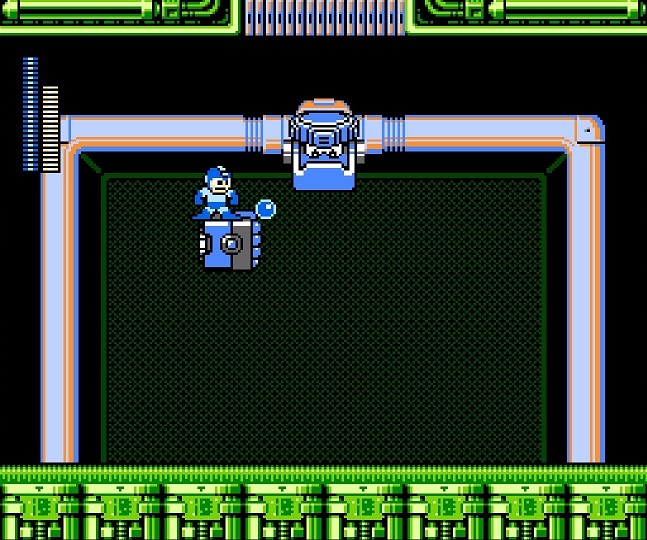 I would have done Mega Man 8 and Mega Man 9 as well, but I didn’t have the equipment necessary to record my playthroughs. 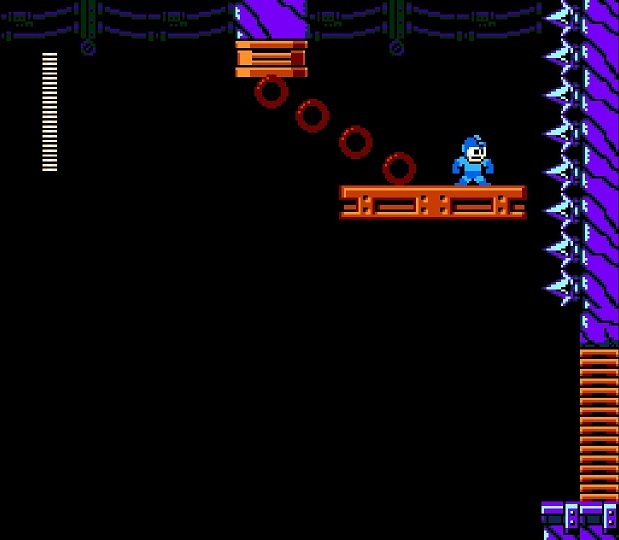 Mega Man 9 didn’t just give me a new game to love; it gave me a reason to rediscover my love of the games that preceded it. And all it had to do was suggest to me that it was possible to play them in a way I never, ever would have thought to try. 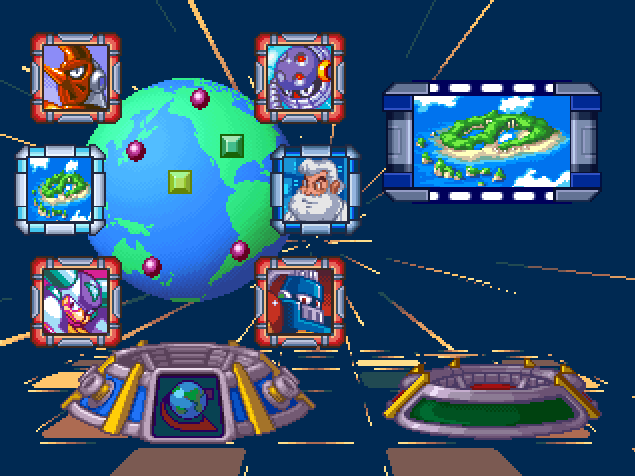 In short, Mega Man 9‘s legacy was, to me, more than that of a great game. It reminded me of why the series was important, why I’d spent so many hours with those games as a kid, why they sparked my imagination and determination in equal measure. What’s more, it wasn’t just a tease. 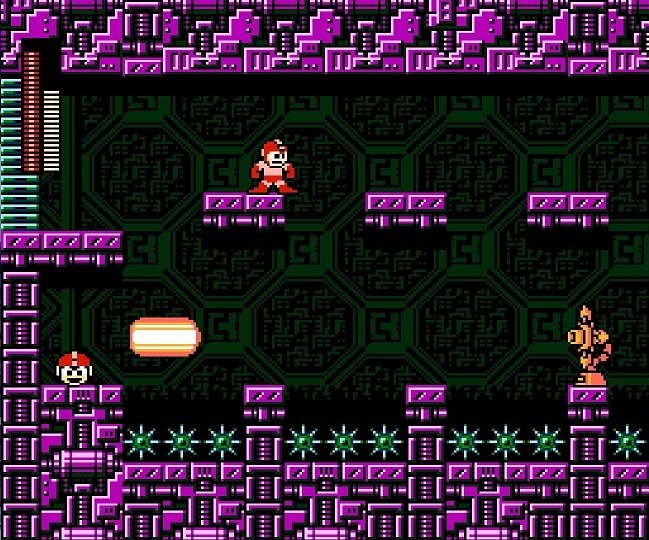 It didn’t remind us all of how great those simple, NES-era games once were…it left us with the promise of another sequel. By the time I lifted my head from those old games I’d nearly forgotten, a new one was already on the horizon. 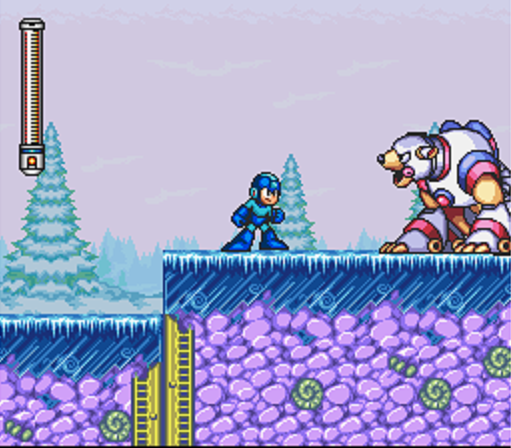 Mega Man 10 was coming. 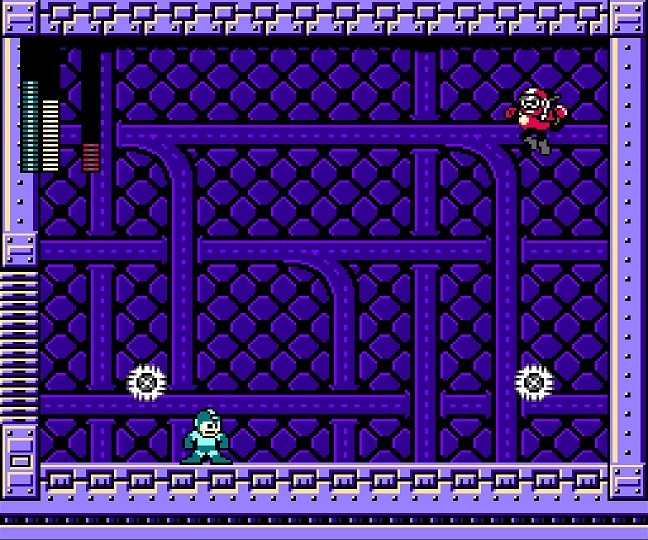 Mega Man 9 wasn’t just a late-game sequel; it was a series relaunch. And then it released. At which point…I was disappointed. 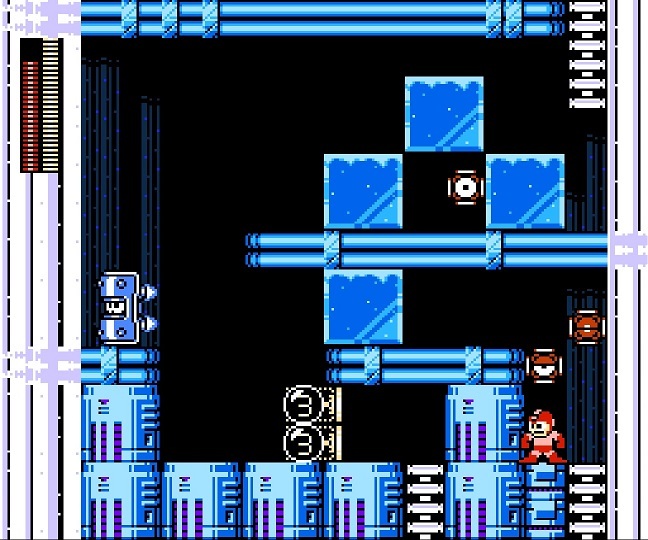 I sat down to re-play Mega Man 10 as I did with every other game for this review series: as an official release. No emulators, no save states, no cheats. If I had easy access to the original hardware and physical copies, I would certainly have used those. Instead I played the more recent digital releases. In a word, I played them now with much the mindset I would have had as a child. It was a game, I was going to fumble my way through it, and I was going to play as intended. 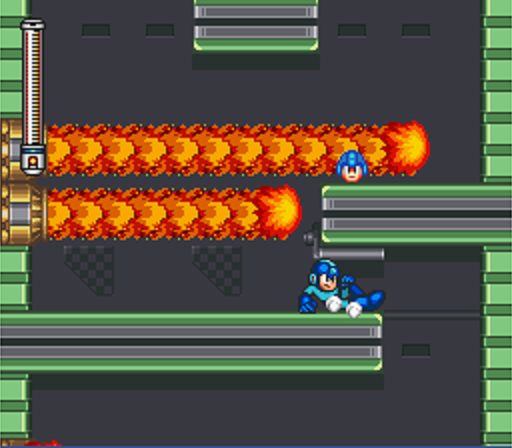 Then came Mega Man 10, and I remembered something. 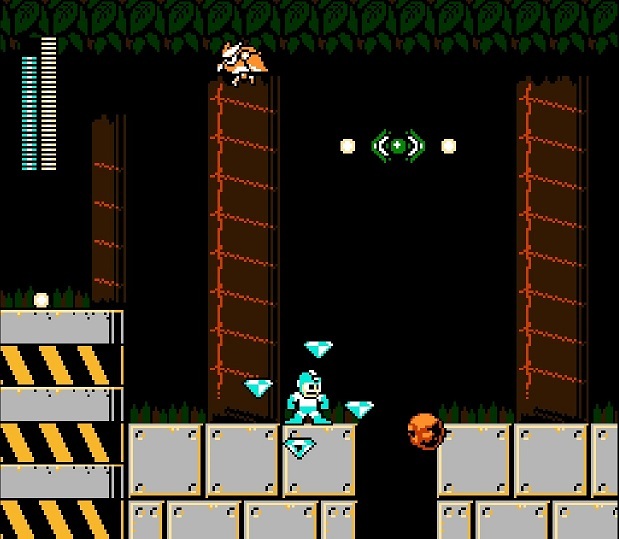 After Mega Man 9 had shown me – directly and indirectly – how versatile the series had always been, I set a goal for myself with Mega Man 10, one I never actually saw through. The goal was to do a no-Buster run of the entire game. 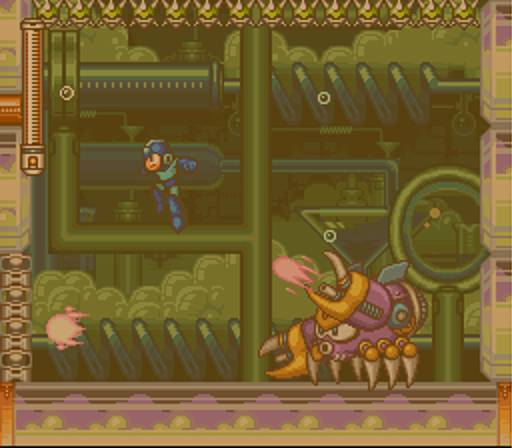 The Mega Buster, stretching all the way back to Mega Man’s first adventure, is the default weapon in each of the games. It does not consume any weapon energy, and it allows for a fairly-generous total of three projectiles on the screen at once. It’s fast, it’s easy to use, and its shots travel as far as the screen will allow. 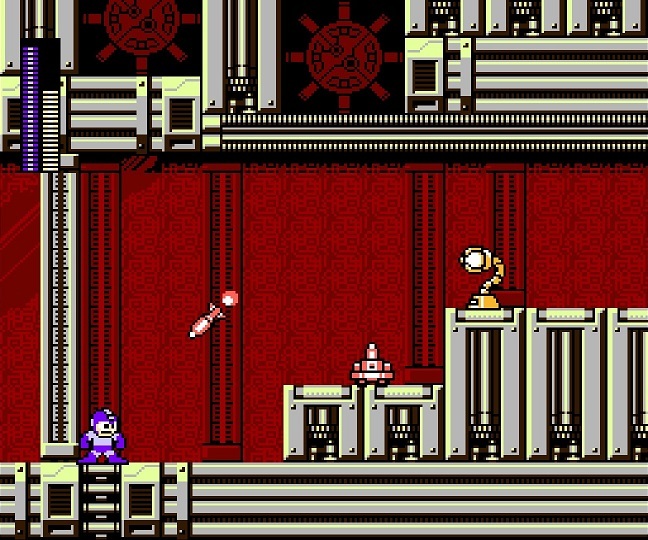 In short, it’s a pretty great weapon, with many of the Robot Master weapons in later games paling in comparison. 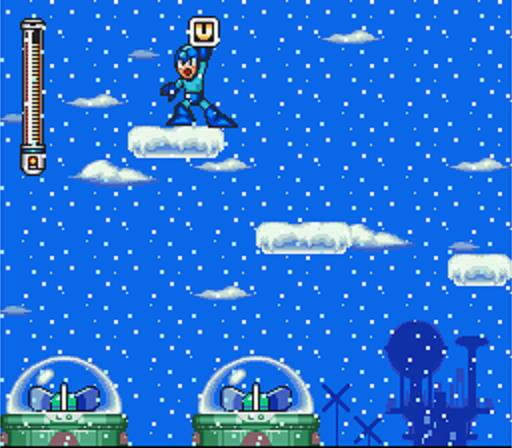 In Mega Man 10, though, there was a unique opportunity to never use it. This was due to a set of downloadable extra stages that rewarded you with weapons you could carry over to the main game. Start a game with those in your inventory and, theoretically, you’ll never actually have to use the Buster. I hadn’t heard anybody else talk about playing the game that way, and there was no achievement for doing so, so there was a decent chance it wouldn’t work. I’d be going into uncharted territory. I’d be giving myself a handicap by stripping away the easiest weapon to use and burdening myself with ammo concerns that no other player would have. But I never did it. I don’t know why. Revisiting the game for this series, though, I figured I’d finally change that. 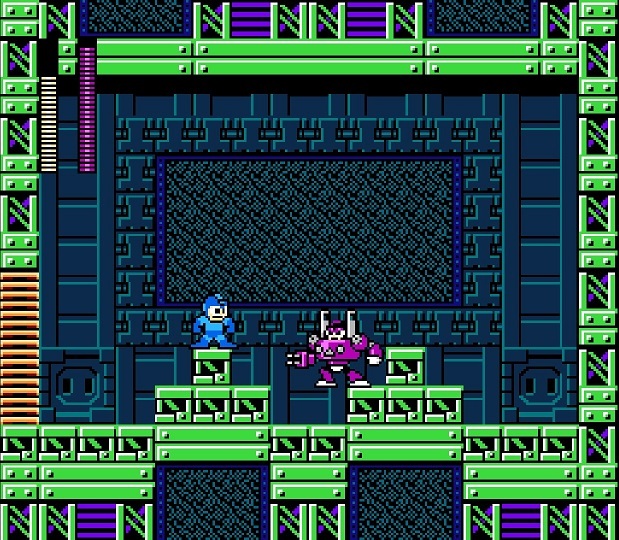 I’d do my no-Buster run of Mega Man 10. Why? 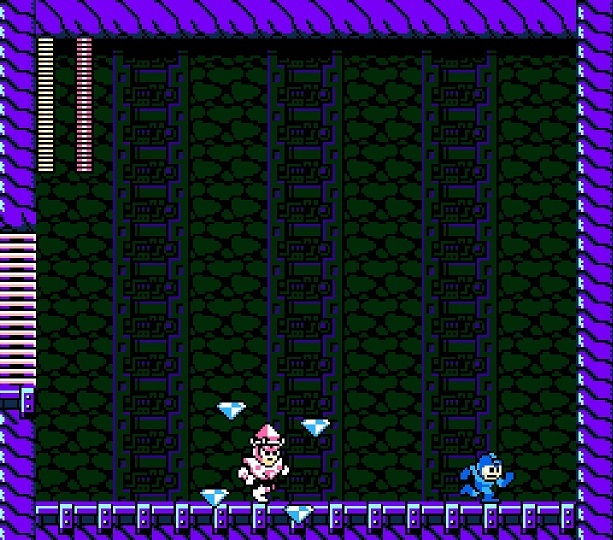 Well, I might as well say this here and now: while you are going to hear me say a huge amount of good things about Mega Man 10…I don’t actually like it very much. A no-Buster run, I’d hoped, would provide me with a new avenue to experience the game, and possibly enjoy it much more. 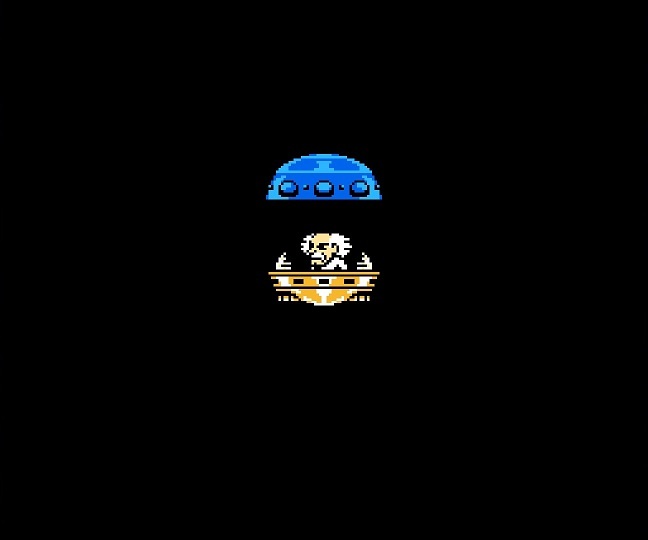 The story this time around is that a computer virus (amusingly referred to in identifiably human terms as Roboenza) is infecting robots on a massive scale, causing them to do exactly what they’ve done for nine previous games and seemingly infinite amounts of ports and spinoffs. I’m being wry, but I’m not complaining. 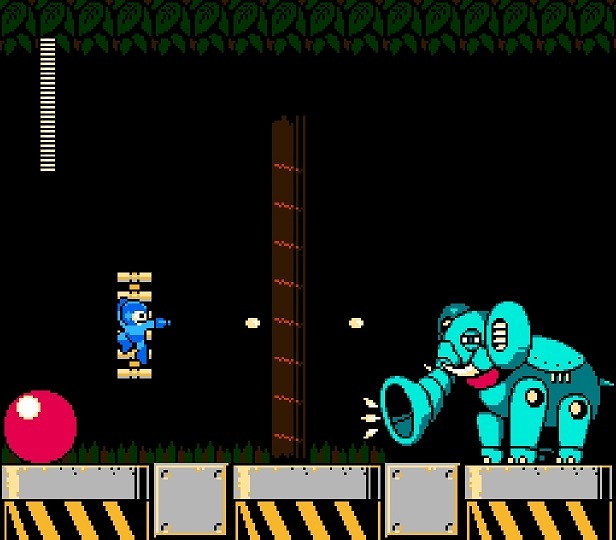 Mega Man has never given us a truly compelling reason to go out and shoot robots; all it ever needed to do was make it fun to go out and shoot robots. I am fine with that. 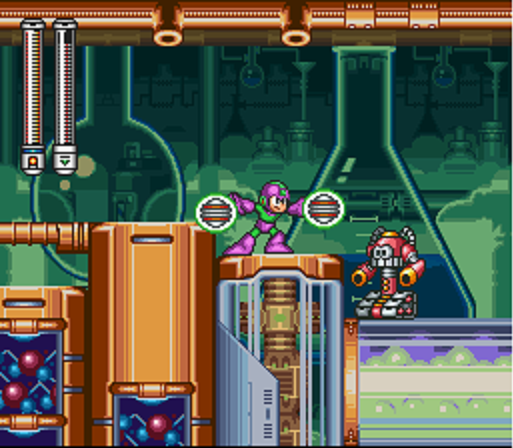 Also nice is the thematic tie to the Mega Man X series, which sees its own versions of Robot Masters driven to madness and violence by the Maverick virus. There’s no evidence that Roboenza becomes or is related to that later virus, but it’s a nice, quiet parallel between series. 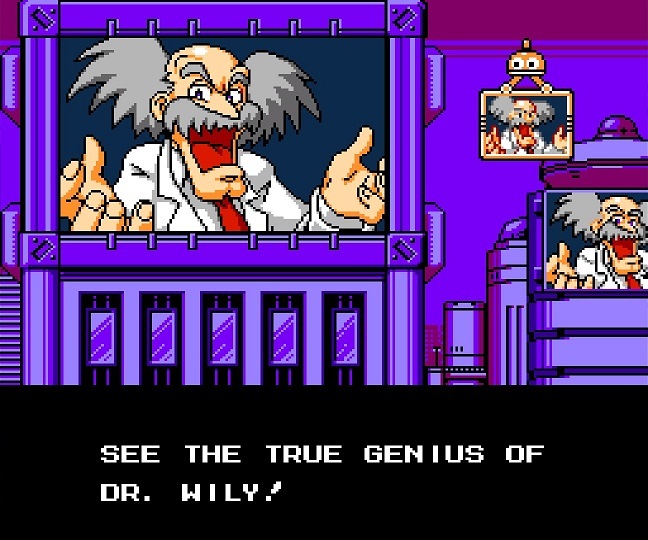 Dr. Wily is, of course, still the villain. 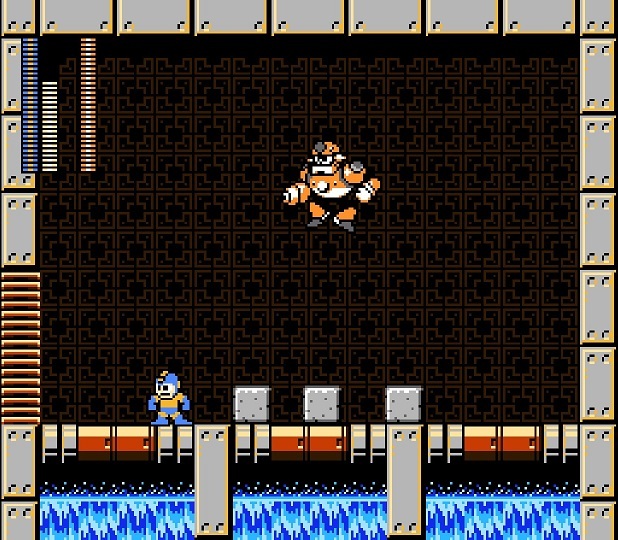 (Sorry for what can only be considered a spoiler if this is your first Mega Man game.) This time, though, it makes a reasonable amount of sense that the good guys would choose to work with him. 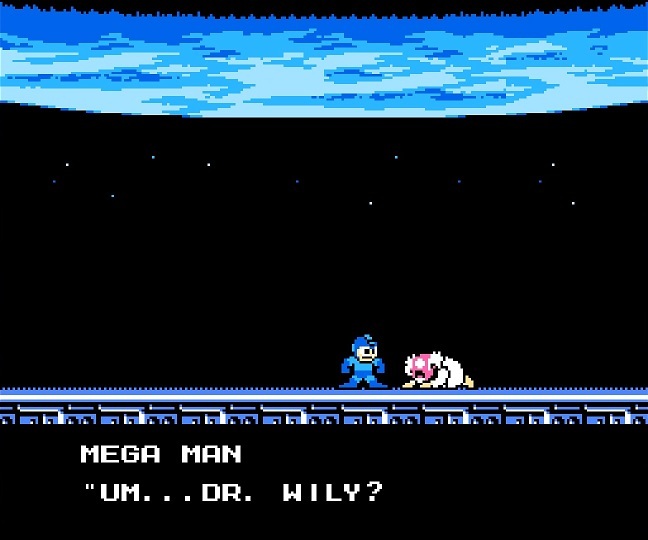 Wily is brilliant. 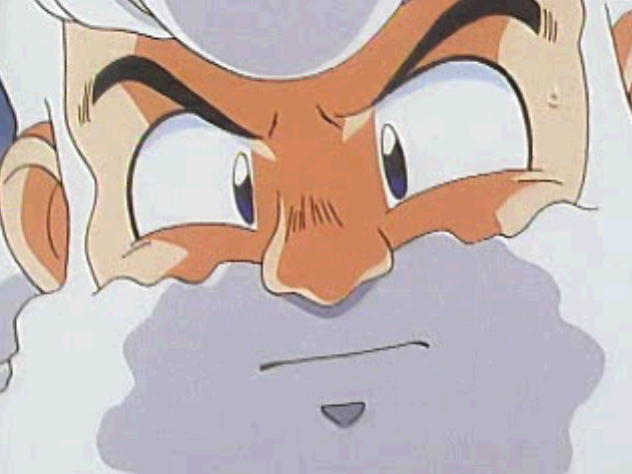 He understands robotics probably better than even Dr. Light does. Yes, he’s tricked them more times than you’ve had hot dinners, but Roboenza represents a legitimate crisis. They can either choose to work with Wily on the chance that he’ll actually help them develop a cure, or they can sit back and watch civilization as they know it crumble. So they work with him and he turns out to be the bad guy. Fine. 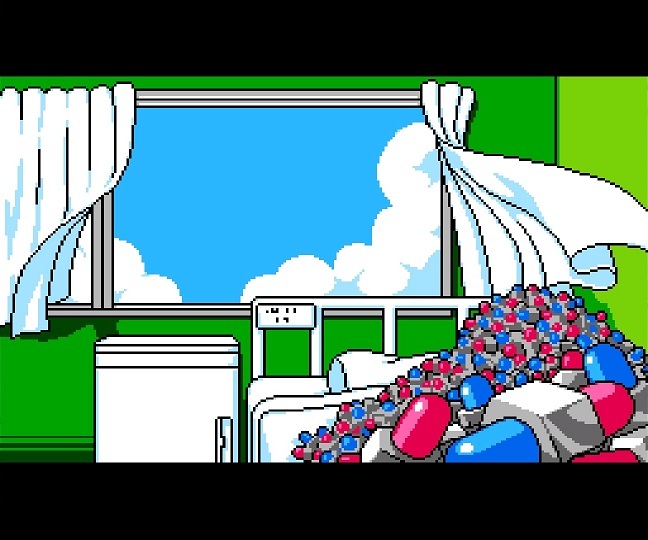 What isn’t fine is the ending sequence, during which all is resolved through a line of text and a still image of some medicine Dr. Wily left behind. 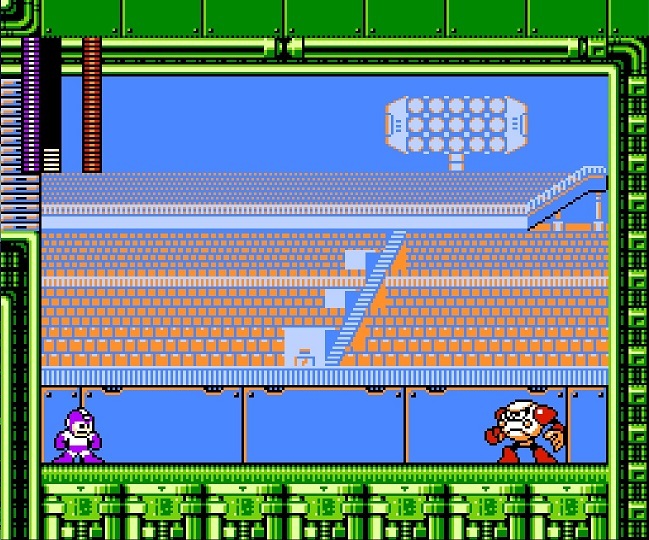 It might seem odd to speak about the ending so early in this review, but I think it’s one of the clearest illustrations of the gap in quality between Mega Man 9 and Mega Man 10. 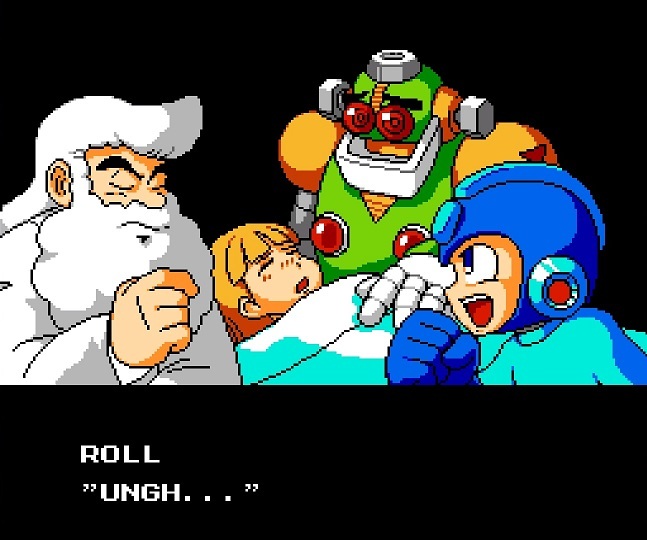 In Mega Man 9, the game ended with a glorious meta joke about how many times our hero has forgiven a contrite Dr. Wily, followed by an extremely good bit of credits music and a slideshow of what each of that game’s Robot Masters (and heroes) is getting up to now that peace has returned. It’s sweet, it’s funny, and it’s positively bursting with charm and creativity. 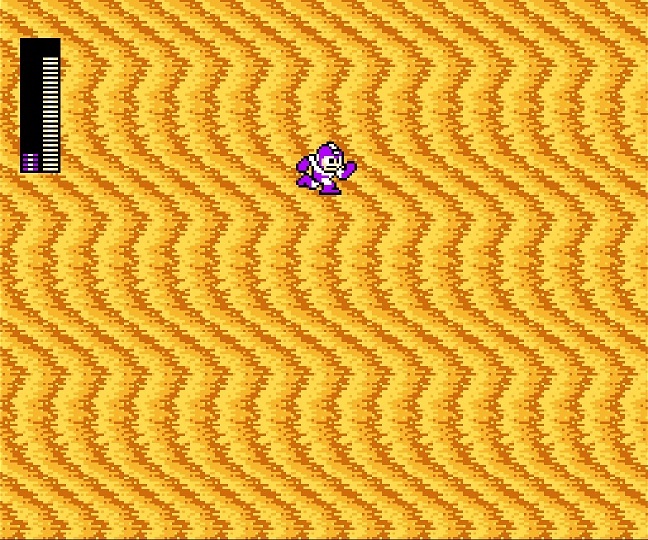 Mega Man 10 gives you white text on a black screen and a static image with no characters in it. I’ll leave the comparing and contrasting to you. 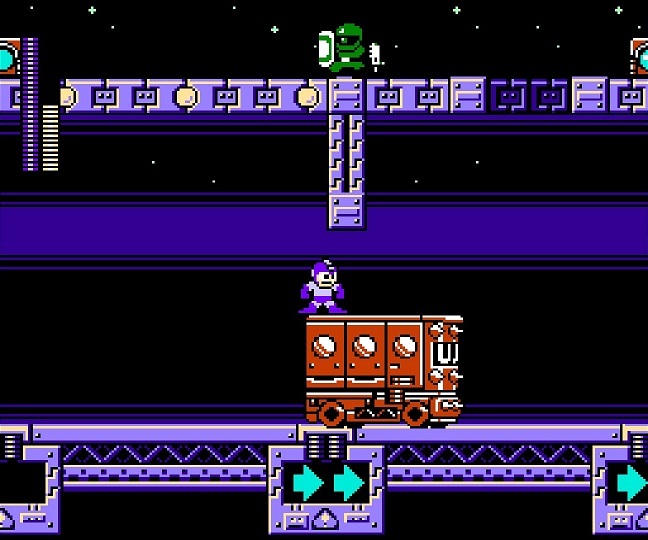 The fact is that Mega Man 10 simply doesn’t seem to have had the same level of creative energy invested in it. In a way, this makes sense. 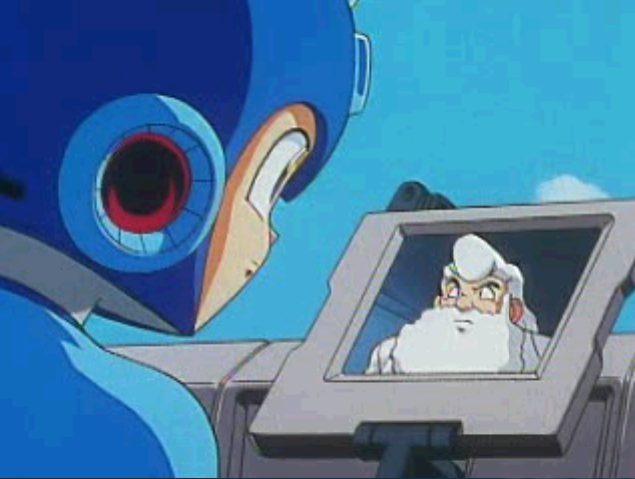 Mega Man 9 had to be a glorious return. 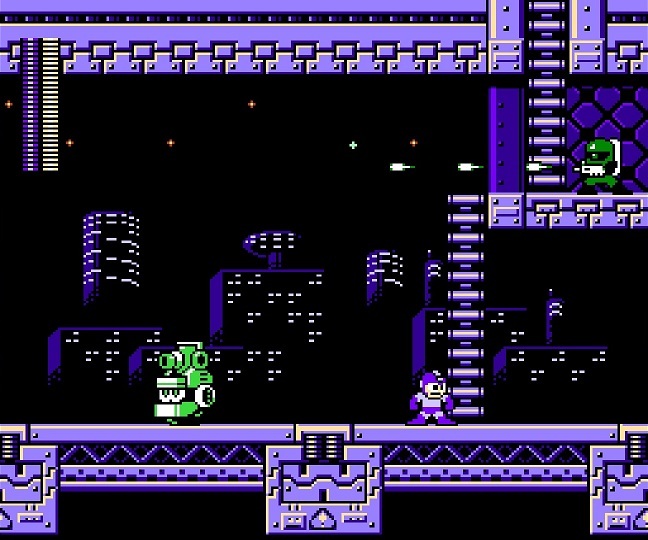 It couldn’t just be another Mega Man game way too late for anyone to care…it had to be great. Incredibly, it actually was. 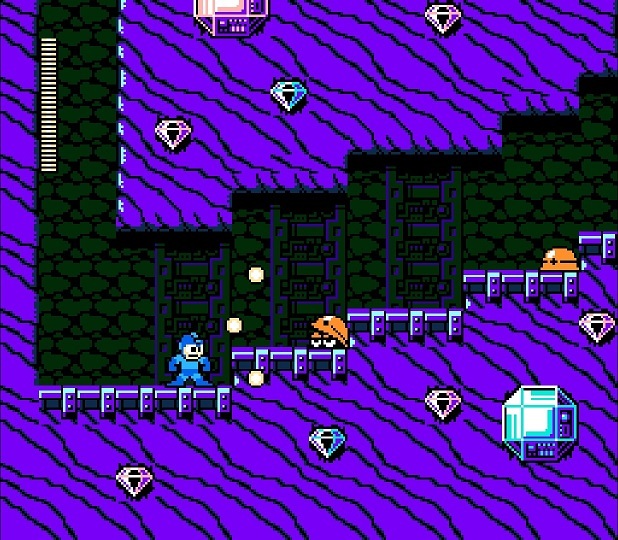 Mega Man 10 does get to be just another sequel, but it seems like returning developer IntiCreates was all too eager to use that as an excuse to do less than their best. The game, understandably, suffers for it. 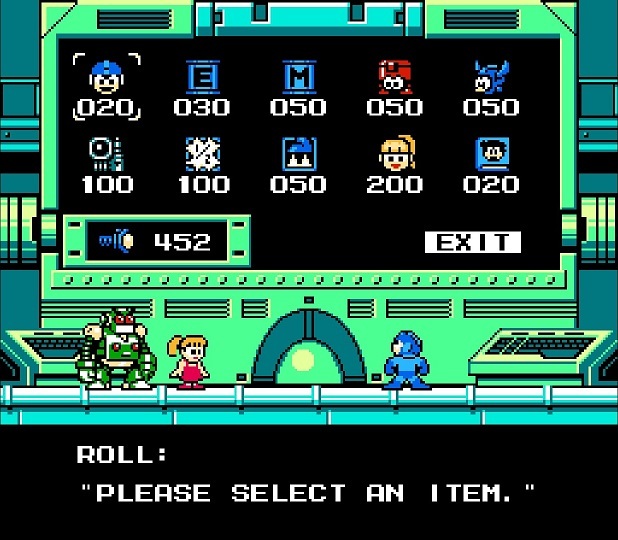 What’s worse, Mega Man 10 ends up illustrating all too clearly what originally killed the series, by being a less interesting sequel that doesn’t give fans much of a reason to come back. The law of diminishing returns reasserted itself immediately. 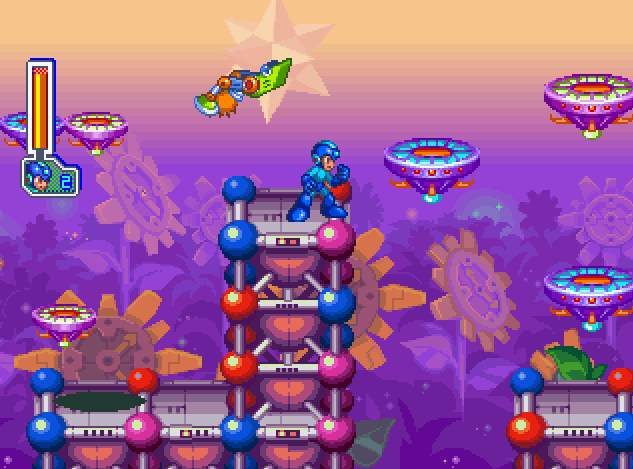 But I do believe that Mega Man 10 does a lot of things very well. 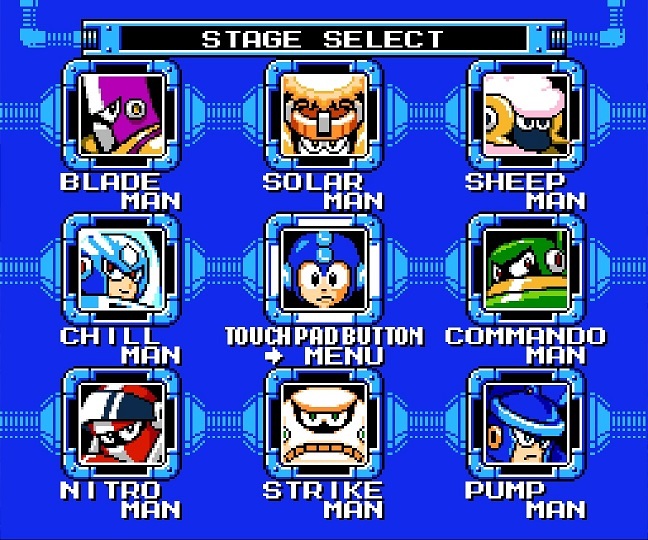 For starters, there are the Robot Masters themselves. Well, maybe not them particularly, but the way their stages are themed. 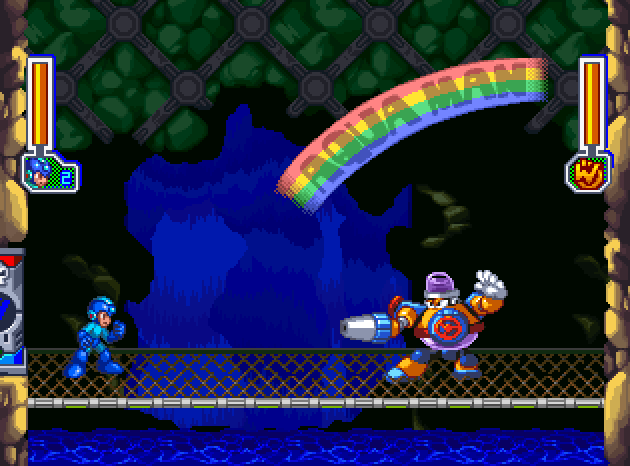 Mega Man 9’s stages had some fairly basic themes. Fire, water, space, garden…it was fine, but you wouldn’t really point to that aspect of the game as a bastion of creativity. Here, though, the stages feel distinct. You wouldn’t be able to confuse them with stages from previous games, on the whole. 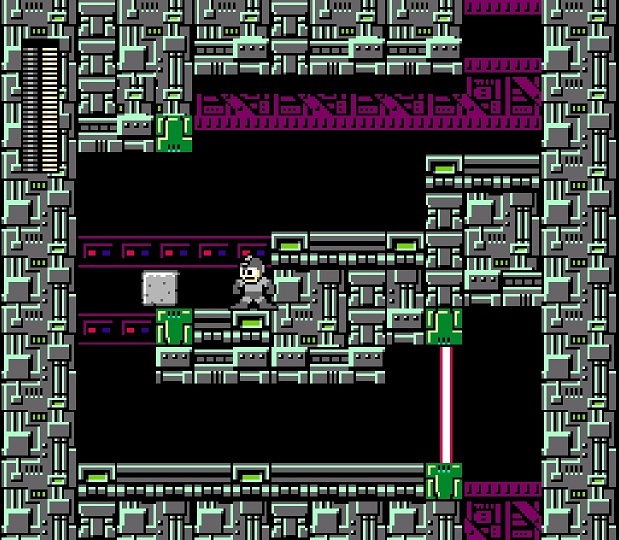 Sheep Man’s stage is in cyberspace. 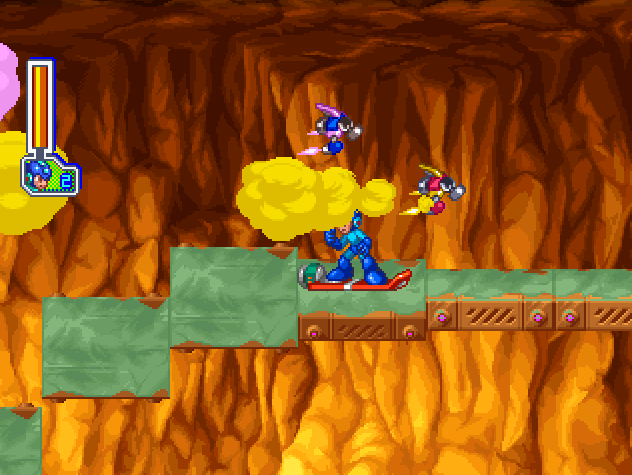 Nitro Man’s is a futuristic highway. Strike Man’s is the locker room, storage area, and field of a gigantic stadium. 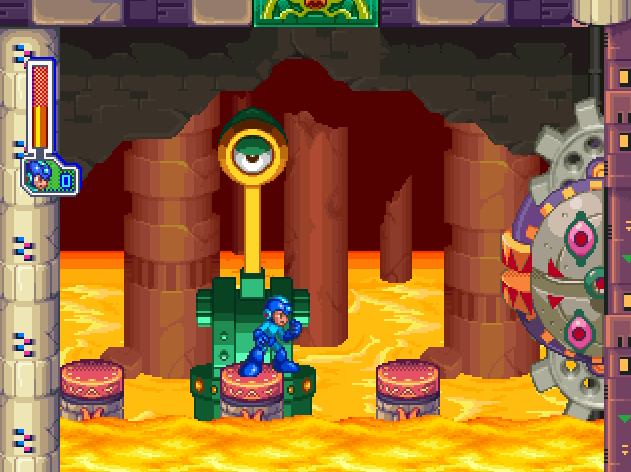 They also play like recognizable Mega Man stages, which I mean as a compliment. Their gimmicks aren’t too distracting or complex – something that crippled Mega Man 8 – and are instead just a welcome, inventive dash of variety. Specific design choices from screen to screen aside, these stages feel at home in the series, and I admire them for that, considering how unique they are. Even the stage themes we’ve seen before feel a bit different here. 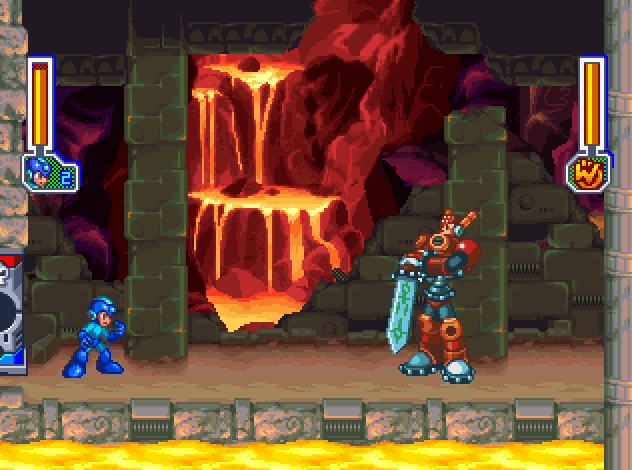 Magma Man just sat in a stage full of fire, but Solar Man’s stage feels like a trip through a smelting plant. 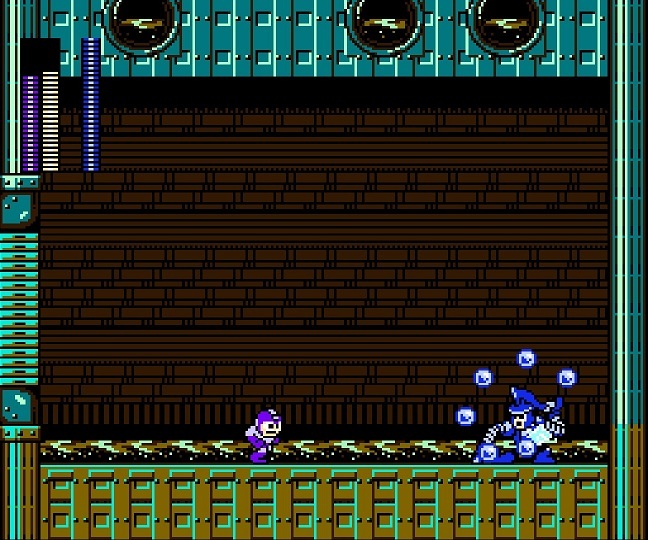 Splash Woman occupied a basic water stage, but Pump Man’s stage takes us through the entire process of wastewater treatment. 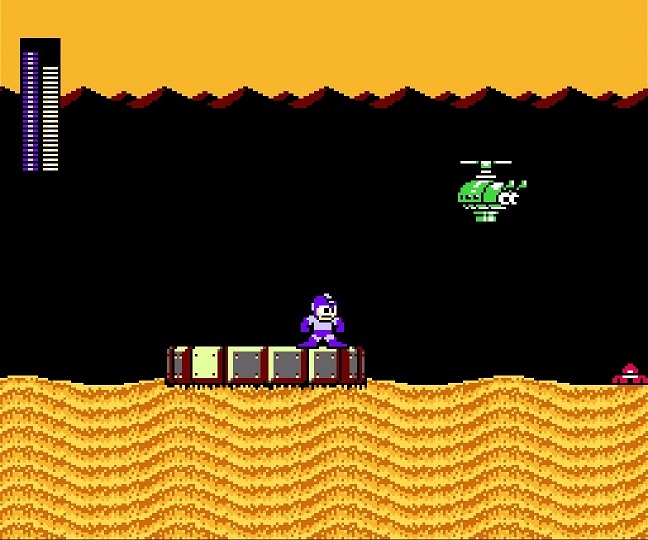 Commando Man’s desert looks a lot like Pharaoh Man’s, but its blinding sandstorms make it feel and play completely differently…not to mention the fact that it’s war-themed as opposed to Egyptian themed. The remaining stages are a bit less impressive. 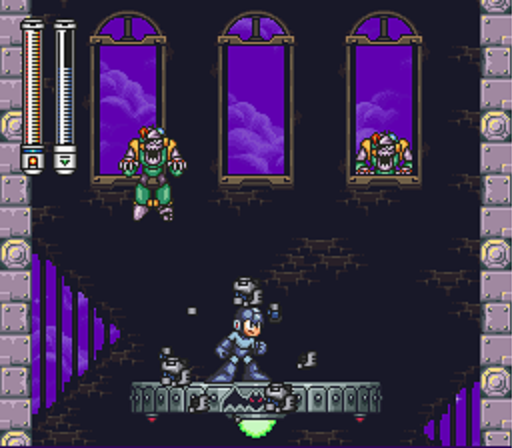 Blade Man’s castle doesn’t feel all that much different from Knight Man’s, but it’s still a rare enough theme that it’s welcome. 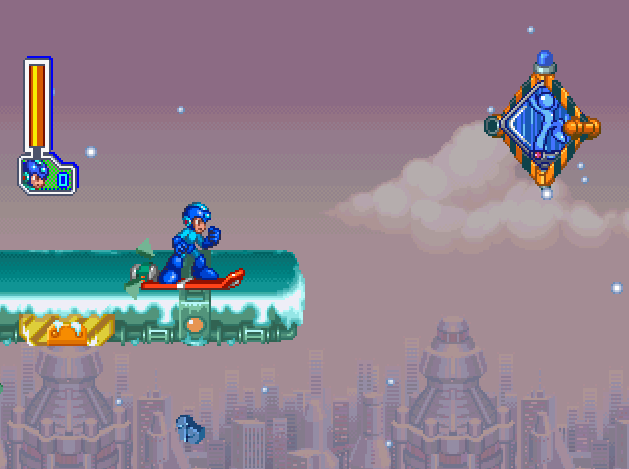 Chill Man’s stage is easily the weakest in terms of inventiveness, as it begins as the standard ice stage we’ve seen many times already, and doesn’t find anywhere interesting to go from there. 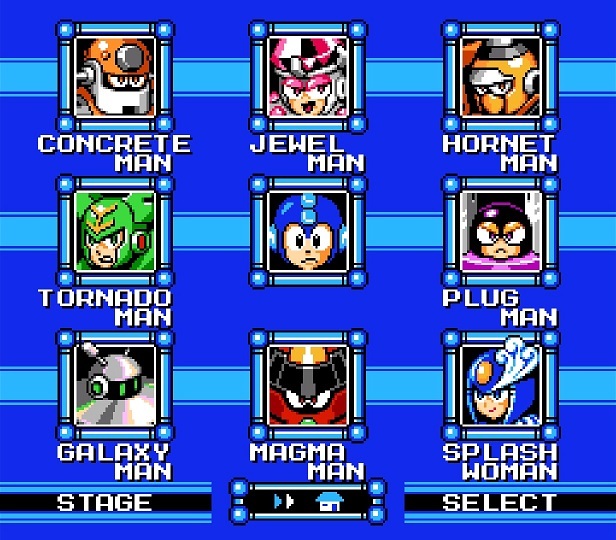 Sadly, the designs of the Robot Masters themselves are a bit lacking. The only truly interesting one is Nitro Man, who looks and jets around his room like a motorcycle. 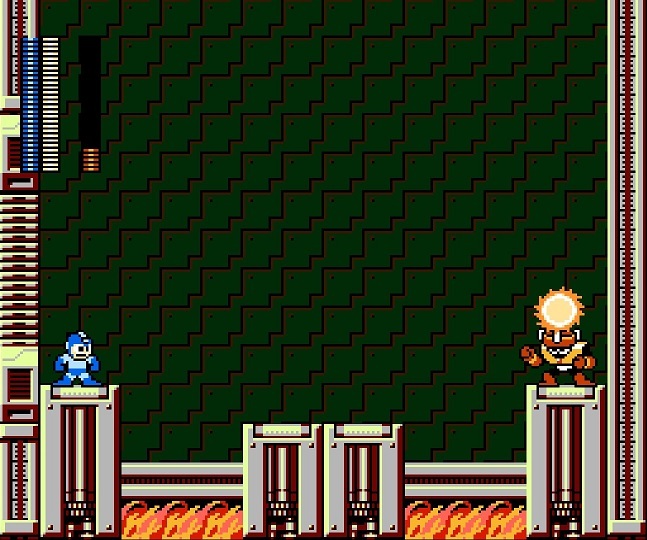 I’ll admit that I also have a soft spot for Commando Man, as it’s nice to see an explosion-based Robot Master who also qualifies as a bruiser, but that’s really it in terms of boss design. Strike Man is Blizzard Man with stitching. Sheep Man is a sheep. Blade Man is a blade made out of blades and when he blades he blades blades at you. Hooray. 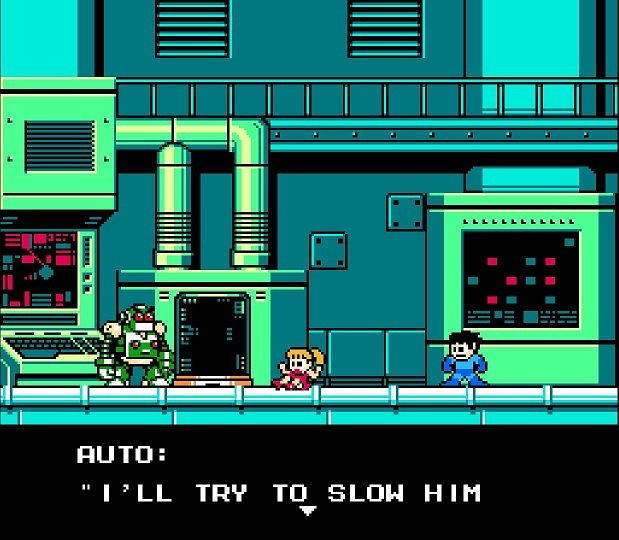 Fortunately, the Robot Masters are, as ever, more than just bosses. They also represent weapons and music, and the game shines far more in those areas. The music, on the whole, is pretty great. 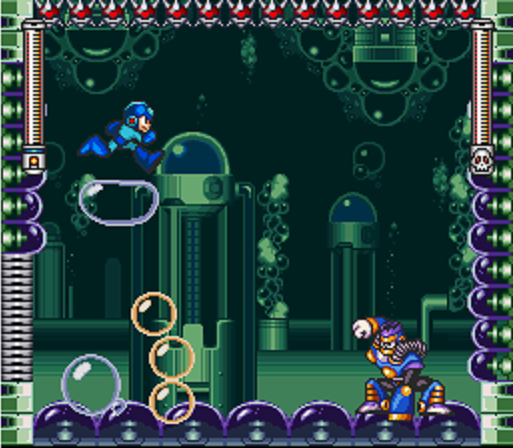 Mega Man 10 also suffers here in comparison to Mega Man 9, but only in comparison. 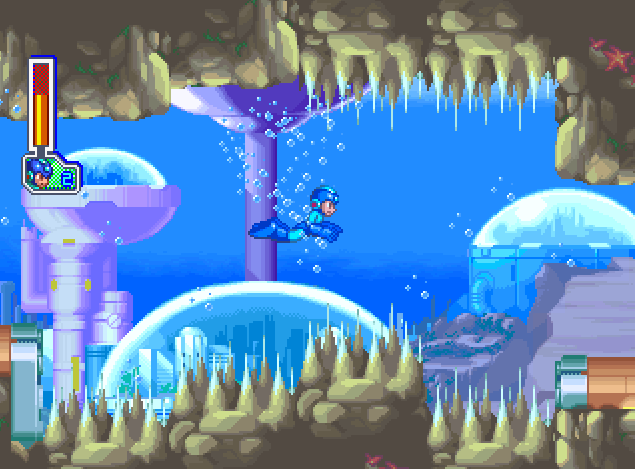 On its own merits, Mega Man 10 has an incredible soundtrack with some excellent standouts. My favorite tune is probably Nitro Man’s, with its driving electric rhythm that feels perfectly matched to the theme and feel of his stage. Divorced from its context it’s still fantastic, but hopping onto and off of speeding robot trucks while his pulsing music underscores the action is absolutely perfect. A close runner up for me is Commando Man’s tune, which sounds vaguely Arabic, conjures up the feel of oppressive desert heat, and keeps you engaged even when all you’re doing is waiting patiently for a sandstorm (Desert Storm?) to die down. Then there’s the absolutely pounding rampage of Solar Man’s song, which is so good it borders on being distracting. 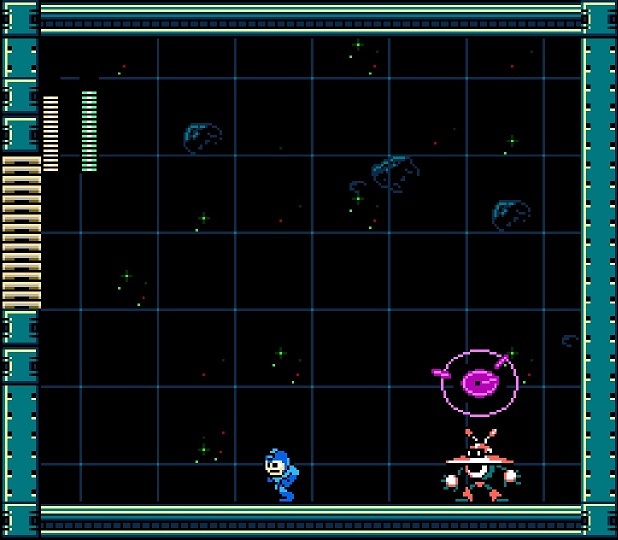 Strike Man’s track may actually be the most interesting and the biggest surprise, as it feels appropriately sporty and contains a genuine stadium rave up, complete with the sounds of an 8-bit crowd clapping and stomping in the bleachers. It’s a damned fine treat, and it really helps that stage to stand out as the highlight it certainly is. The rest of the Robot Master tunes are fairly forgettable, though certainly not bad. (Aside from Chill Man’s, of course, because everything about Chill Man is pants.) 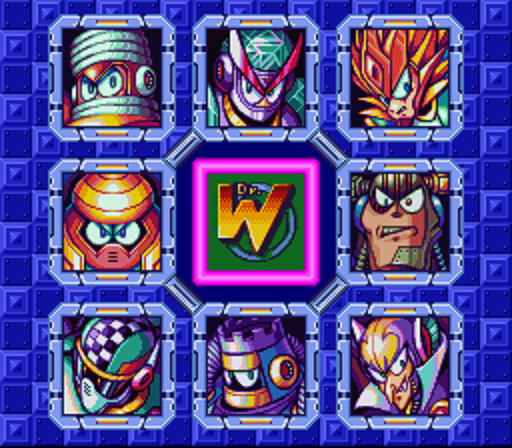 The Dr. Wily stages have some of the best music they’ve ever had, with some experimentally atmospheric ones bookending the experience, first in a short section outside of his fortress and then again when you finally track him down into outer space. It’s a good soundtrack, and its quality is more or less matched by this batch of weapons. 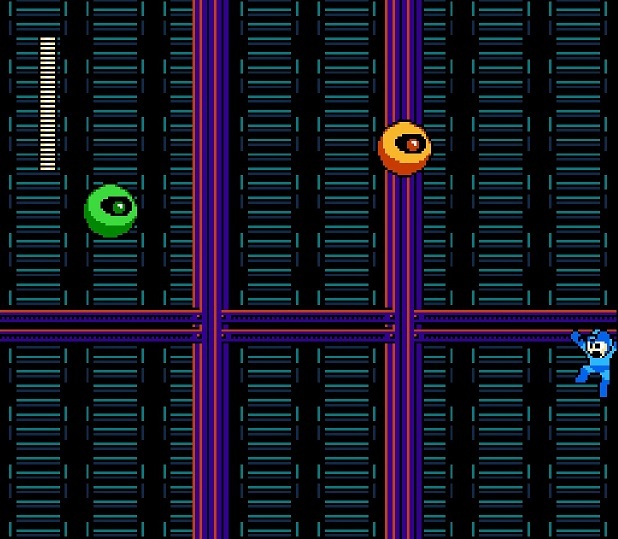 It’s again outdone by Mega Man 9, but this game at least learned a valuable lesson from that one. 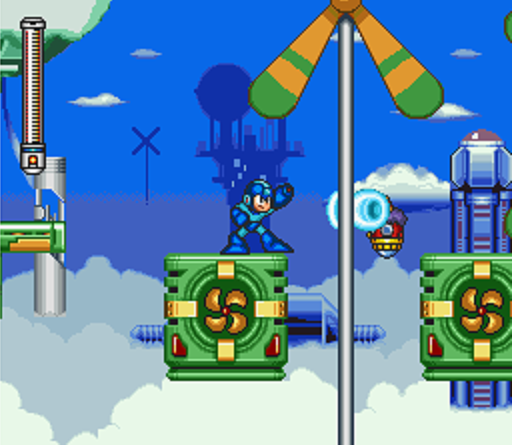 In Mega Man 9, the weapons could also be thought of as utilities. That seemed to be their overarching theme; you could both pelt your enemies with them and use them to navigate stages more easily. 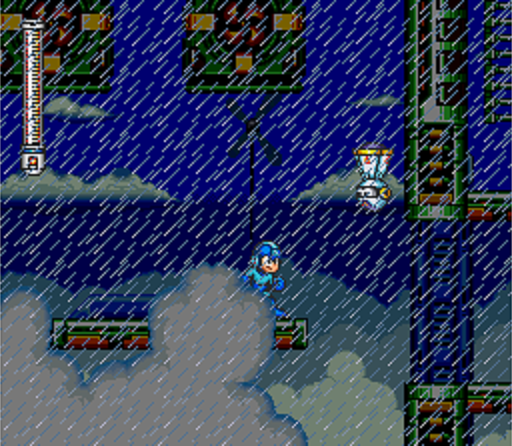 Mega Man 10 similarly ascribes a theme to its weapons: splash damage. Here, for the first significant time ever, you shouldn’t just pelt your enemies with your weapons. You should think about how the weapons work, and use them wisely to inflict greater damage. The most obvious example of this is probably the Thunder Wool. Like any other weapon, you can hit enemies with it. It will deal damage and disappear. However, the wiser thing to do is miss enemies with it, and have the lightning it discharges hit them instead. That will both deal far more damage and linger on the screen, potentially hitting multiple enemies, or hitting the same enemy multiple times. This means that you can’t – or at least shouldn’t – fire mindlessly at things. You have to think about where your projectile will go and where your enemy will be, but you also have to think about how the splash damage will work, as that’s the only way you’ll get true mileage out of the weapons. This largely carries through the entire set. You can hit enemies with the controllable Commando Bomb, but it’s better to miss them, because the blast it sets off is far more powerful than a direct hit would be. The Solar Blaze will split, potentially mowing down enemies on both sides of the screen. The Chill Spike can either hit an enemy and freeze it, or create a dangerous patch on the ground that will injure or destroy an enemy that walks over it. Perhaps most interesting is the Rebound Striker, which can be fired in six directions and which becomes more powerful each time it bounces off of a surface. This means that you can either strike an enemy directly for a decent amount of damage, or deliberately miss them so that it bounces around the room like a billiard ball and hits them later with a much harder strike. It’s not the easiest weapon to use effectively, but once you get a sense of how to understand a room’s geometry, it can be downright devastating. 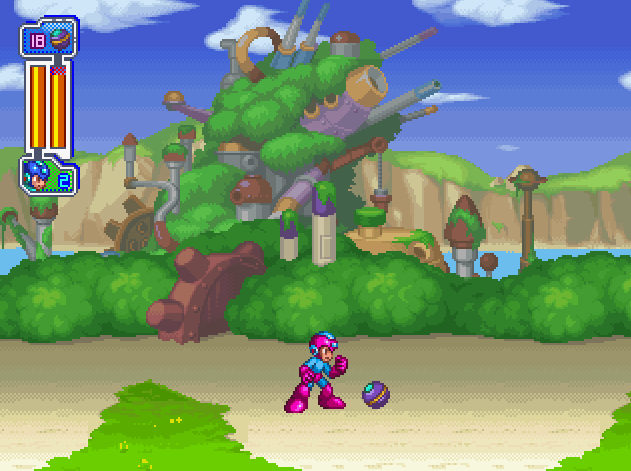 It’s Mega Man 8’s Mega Ball done exactly right. Even the seemingly “simple” weapons have nuances worth understanding. The Wheel Cutter can be spat forward as you’d expect, but you can also hold down the fire button to keep it spinning at the end of your arm like a sawblade. Additionally, you can use this exact functionality to rocket you up vertical surfaces. I won’t pretend there’s much call to do so, but like Mega Man 4’s Wire Adapter, the fact that it’s fun to use is reason enough to play with it. Then there’s the Water Shield, which is a fairly basic shield weapon, but with components that can be destroyed if they suffer damage. When you fire it, the remaining components spiral away from you either clockwise or counter-clockwise, depending upon which side of the screen you’re facing. Again, not a very useful feature, but at least one you’ll need to put thought into to use effectively. The Triple Blade is…well…three blades. They’ll fire upward if you’re standing on the ground and downward if you’re in the air, which is one thing to consider, but their power is also determined by your distance from the target. If you’re far away, only one blade can conceivably hit the enemy. Close in, though, and you can hit them with all three at once, dealing three times the damage. 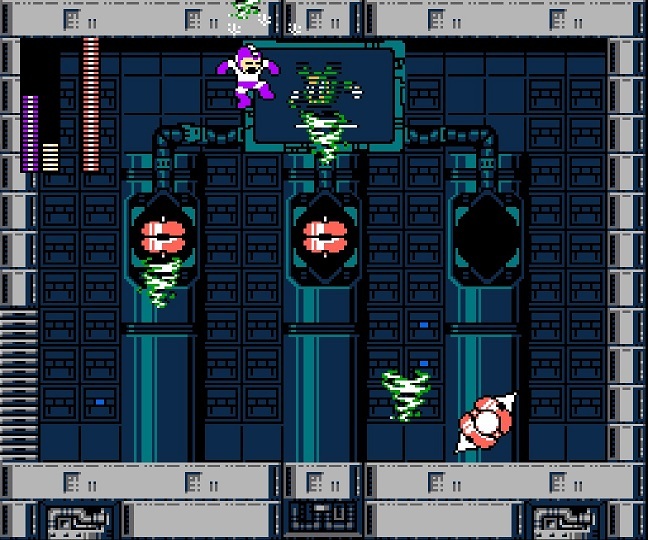 Mega Man 9 will always have my favorite batch of weapons, but Mega Man 10’s may well be the most interesting, and I’m impressed at how much thought must have gone into their design and the ways in which they could be employed. But there’s a problem, and you may have picked up on it even if you haven’t played the game: don’t these weapons sound kinda difficult to use? 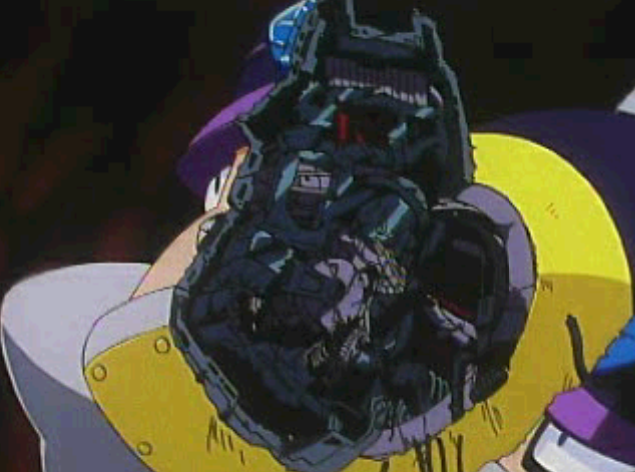 The appeal of the weapons earlier in the series was not just that they were fun to use, but that they were easy to use. 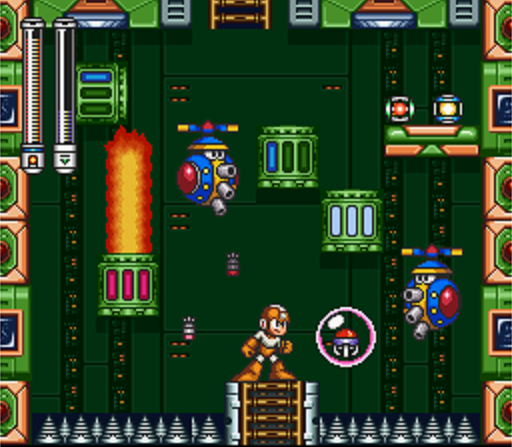 Cumbersome weapons like the Atomic Fire, Top Spin, and Charge Kick tend, on the whole, to sit quietly in players’ inventories for the duration of the game. If they’re unwieldly, why wield them? If something else is quicker and easier to use, why wrestle with the stubborn ones? 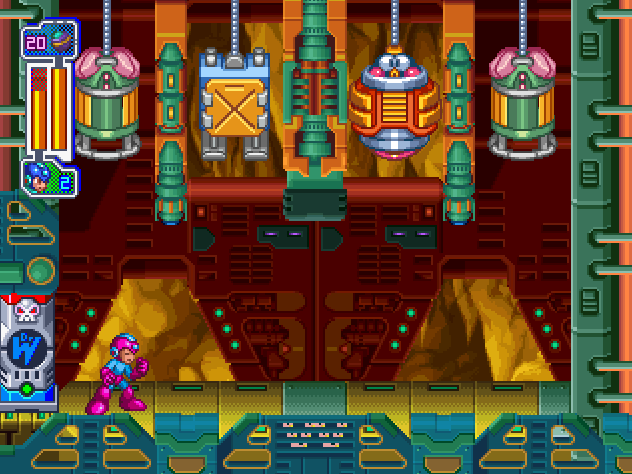 I wouldn’t call any of Mega Man 10’s weapons stubborn. And they’re certainly better weapons than the examples I provided in the previous paragraph. But they’re also not easy to use well. And if it comes down to trying to launch a cloud precisely above an enemy’s head in the hopes that they’ll still be there in a few moments when it actually discharges lightning…well, why not just use the Buster? 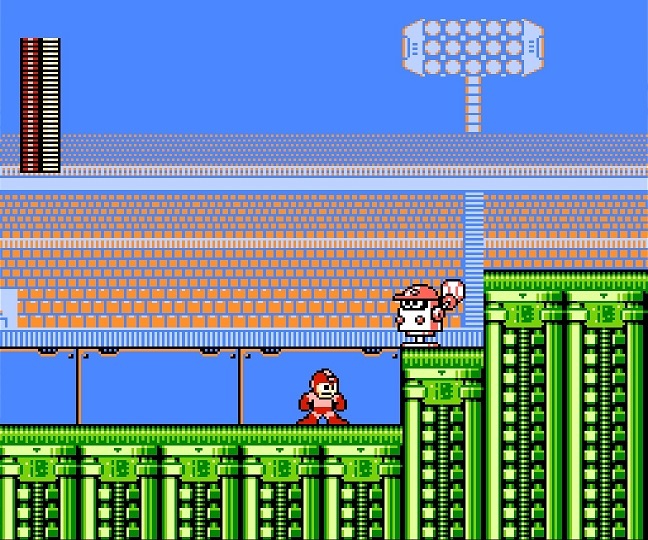 That’s not entirely Mega Man 10’s fault. 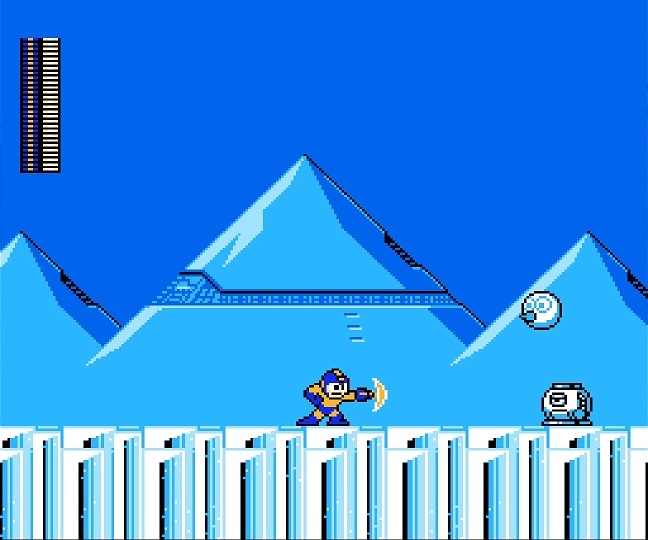 That’s a problem that arises strictly because of what series this is, and the fact that Mega Man always has his trusty arm cannon by default. Which is easy to use. And fast. And predictable. And which consumes no ammo. 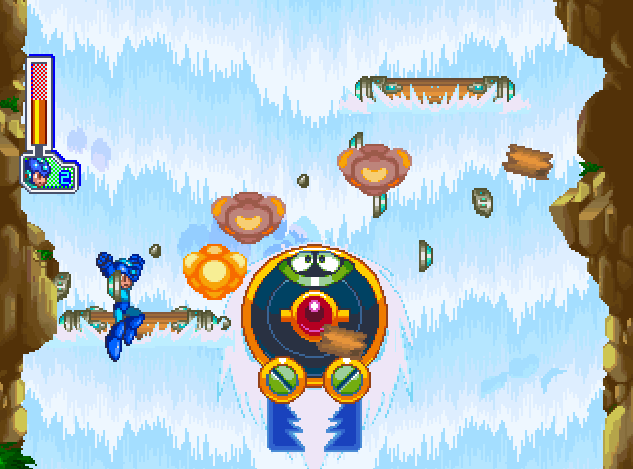 When your option is to either mash the fire button a few times to kill an enemy or open your inventory, select the Rebound Striker, figure out the precise angle to toss it so that it bounces correctly off of the floors, walls, and ceilings, wasting ammo and time whenever you get it wrong…well, most players are going to stick with the Buster. That doesn’t make the special weapons worse, but it does make them far less likely to be used and appreciated. Which is also part of why I wanted to do a no-Buster run. 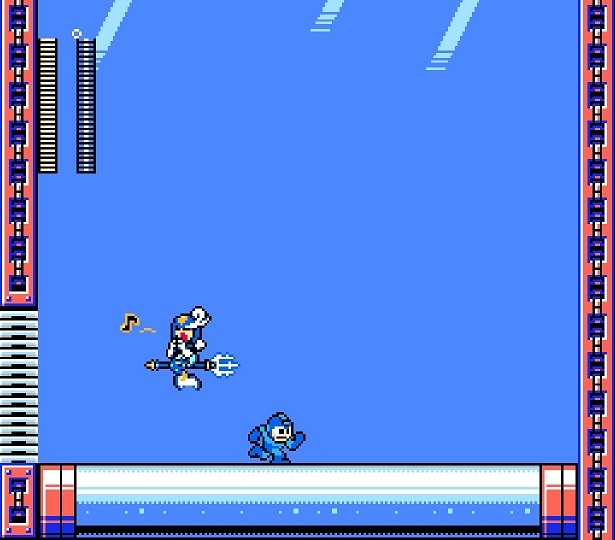 I like the special weapons in this game, but, well, I have to admit that I solved most of Mega Man’s problems with some quick blasts from the weapon he was born holding. Maybe stripping myself of that solution would lead to more interesting gameplay. As I mentioned, a no-Buster run is only possible here due to some DLC stages. 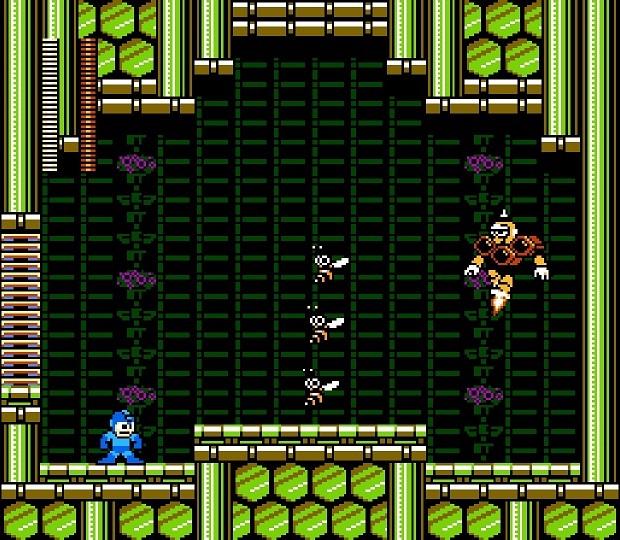 These pay homage to and borrow heavily from the Game Boy games, three of which featured bosses called the Mega Man Killers. 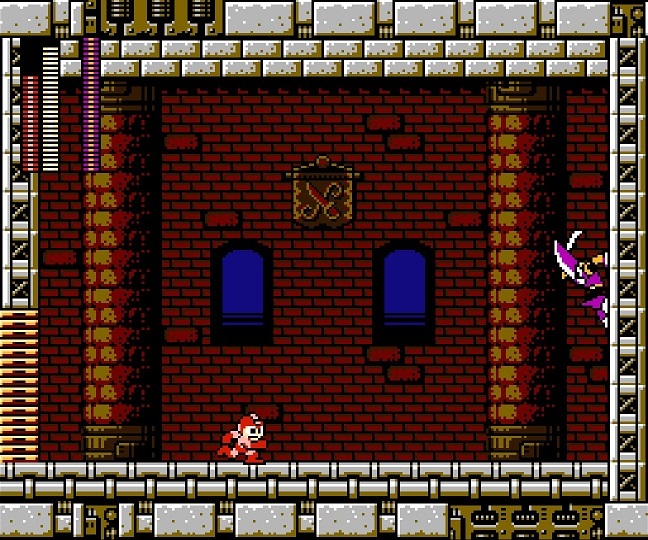 The first Game Boy game introduced us to Enker, and defeating him gave us the Mirror Buster, which serves as a shield that reflects projectiles back at the enemies that fired them. 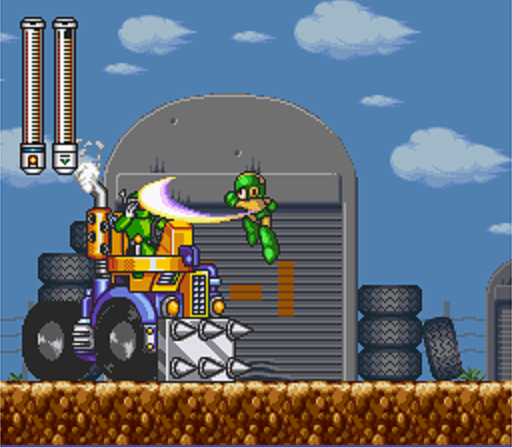 The third Game Boy game featured Punk, who gave us the Screw Crusher, a projectile that arcs high in the air before falling back down, tracing a path something like an upside-down U. 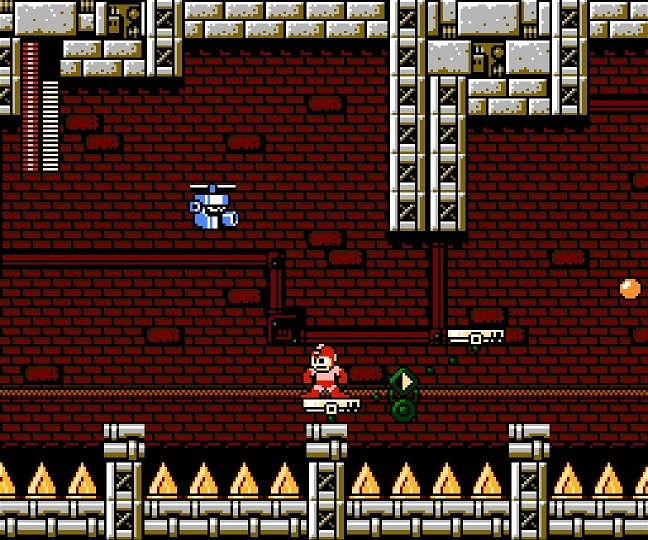 The fourth Game Boy game brought us Ballade, who had the Ballade Cracker, a slow explosive that could be fired in six directions. 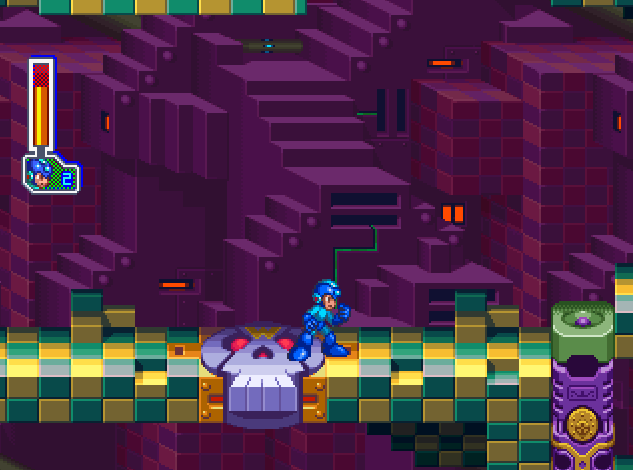 The DLC stages in Mega Man 10 are reimagined versions of stages from the Killers’ respective Game Boy games, with remixed versions of the old music to boot. 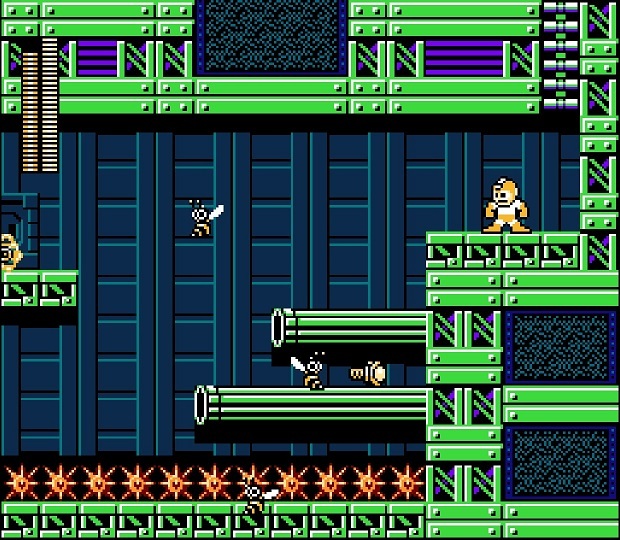 In those games, beating the Mega Man Killers would indeed give you their weapons, but by that point you were so far along that you wouldn’t have much more than a stage left to play with them. 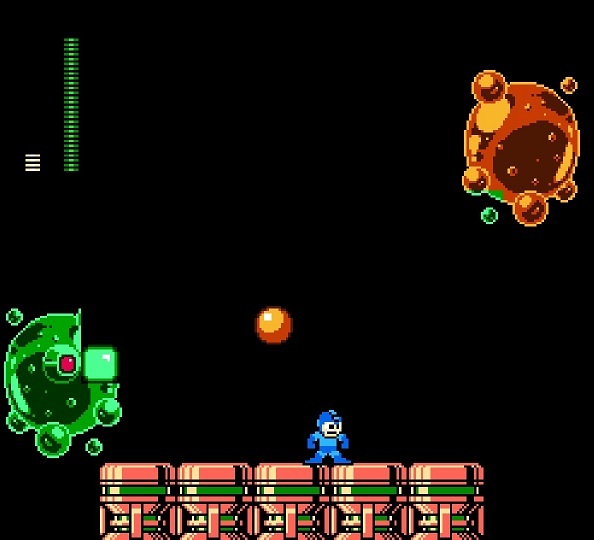 In Mega Man 10, beating the DLC stages gives you those weapons any time you start a new game, meaning you can finally enjoy them like you would any Robot Master weapon. Choosing a replacement for the Buster was actually pretty easy. The Ballade Cracker is powerful, but it uses a lot of weapon energy, meaning you don’t get many shots and I’d have to rely on enemies dropping a lot of ammo. 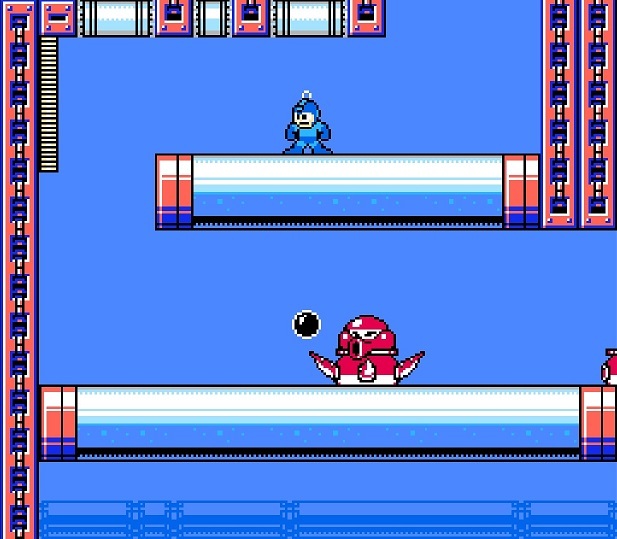 The Mirror Buster counts on enemies to fire at you first, which not all of them do, and it requires them to remain on Mega Man’s horizontal plane to be hit when the projectile bounces back at them. It’s fun to use, and a great idea, but not something that works in every context. That left the Screw Crusher, and I was fine with that. It’s fast, it doesn’t seem to be any less powerful than the Buster, and it makes very efficient use of weapon energy. 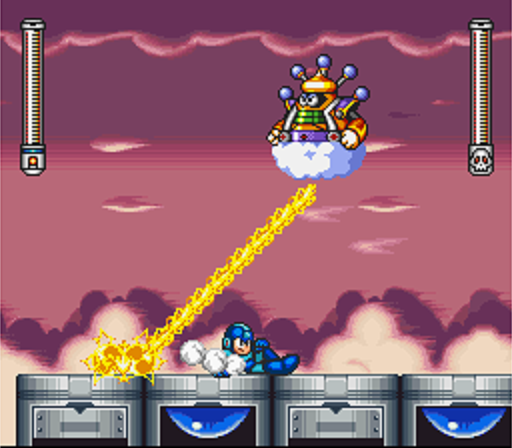 The only real downside is its awkward arc, but all that did was help me choose my first stage that much more easily: Sheep Man, who spends much of his time in the air above Mega Man’s head. That sharp upward arc would actually be a benefit. And it was. 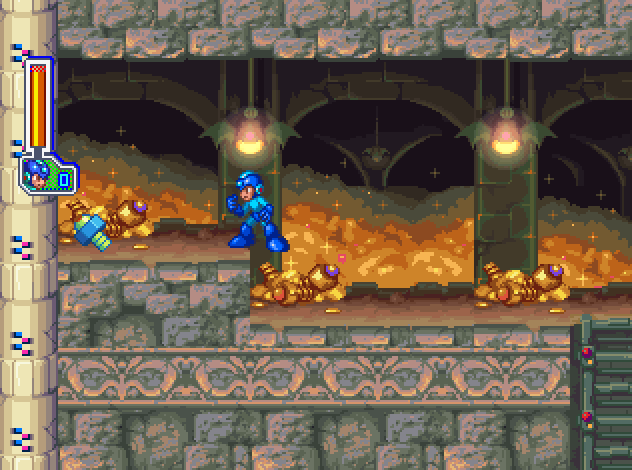 The stage had enough enemies above me that the Screw Crusher worked very well. 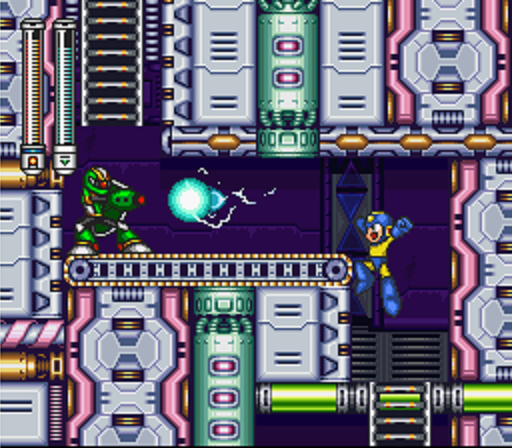 Even the lightbulb miniboss was easier to hit now that I didn’t have to jump as high to get to him. Sheep Man himself took a while to fight, but it wasn’t any more difficult outside of staying focused for a longer period of time. Each time he turned into a set of clouds, I just shredded through them and brought him crashing back down. It worked out well, and then I had another weapon: the Thunder Wool. As soon as I got it, I realized this wouldn’t actually make things much easier for me. The Thunder Wool is also very inefficient in terms of weapon energy, and it’s difficult to use. Even if you could reliably use it against enemies, it absolutely would not last you through an entire stage, which meant the Screw Crusher was still my sidearm. Even so, I took on Pump Man next. He’s weak to the Thunder Wool, so that boss fight wouldn’t be any different. The stage was fine. 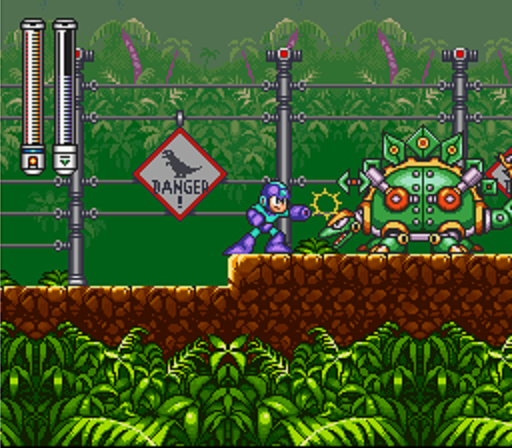 Again, there were enough enemies above that I got my mileage out of the Screw Crusher, and in other cases I could just walk right up to them and mash away. Hitting the little slug Mets that spew slippery slime at you wasn’t easy, but the Ballade Cracker, with some careful timing, took them out easily. And that was it. 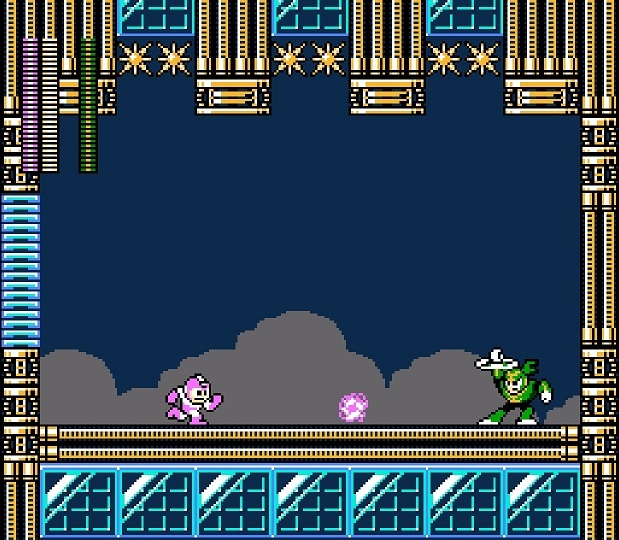 Pump Man’s fight was the same as it ever was, only running out of Thunder Wool meant I pelted him with Screw Crushers instead of Buster shots. 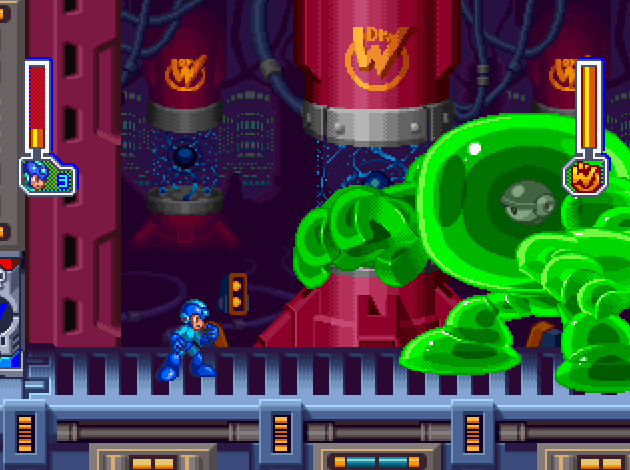 Then it was on to Solar Man, who was weak to the Water Shield. Of course, the Water Shield is also very inefficient in terms of weapon energy, and it’s difficult to use. Even if you could reliably use it against enemies, it absolutely would not last you through an entire stage, which meant the Screw Crusher was still my sidearm. I think you see where this is going. 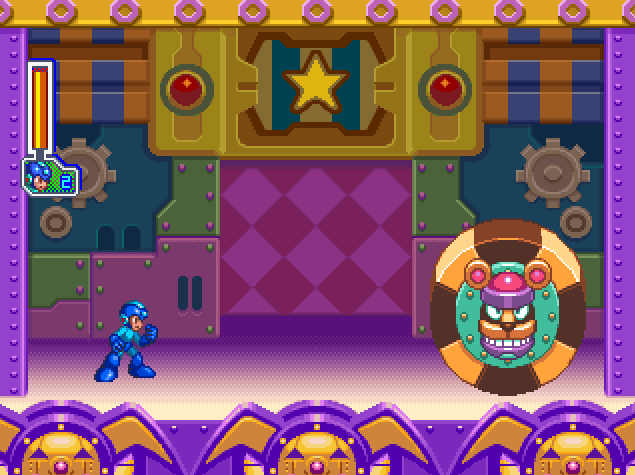 The boss fights were exactly the same as they were in a standard run, and for the most part so were the stages. I swapped one weapon out for another, and that was it. 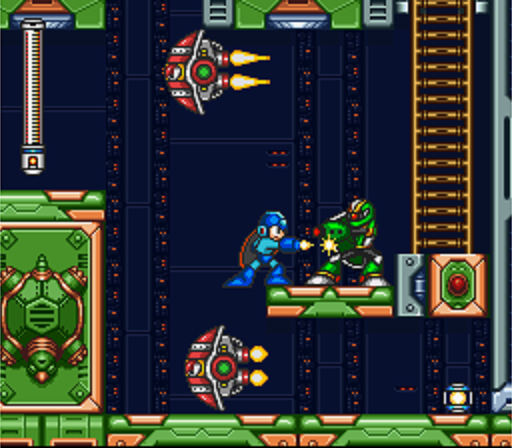 I didn’t have to change my tactics or behavior, and if I wanted to rely on another Robot Master weapon, I really couldn’t; they weren’t versatile or efficient enough. I’d use them situationally, as I always had. By the time I got the Triple Blade – which conceivably could have served as an alternate Buster – I was already used to how the Screw Crusher handled, so I stuck with that. I can count on one hand the number of moments that changed significantly from a standard run, and usually those were made easier. I tried adding another restriction, not allowing myself to use either E-tanks (to restore my health) or W-tanks (to restore my weapon energy). But that didn’t really make it any harder, as I’d racked up enough extra lives that dying was never much of a setback. I did have to continue once, before the final Wily fight. That was it. 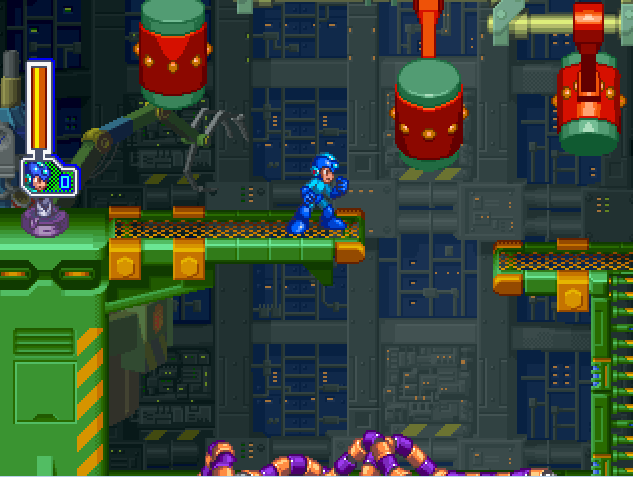 Mega Man 10 had originally disappointed me, and my attempt at spicing things up disappointed me again. Playing through the game again, though, did remind me how difficult it is to articulate just what I don’t like about it. So much of it is good. Some of it is great. 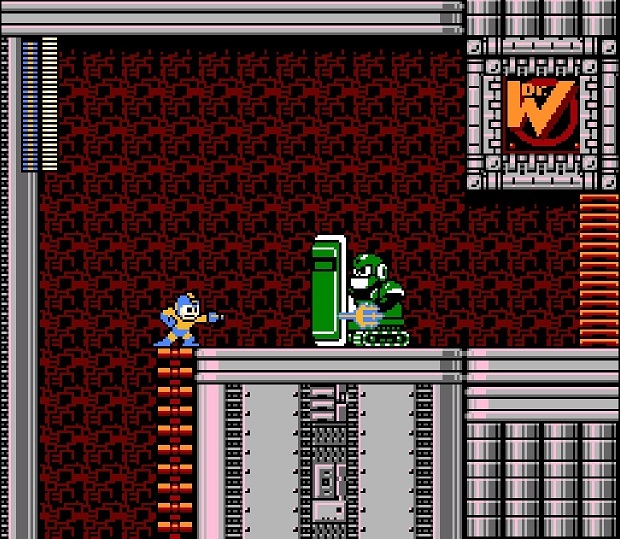 Hell, it has the Weapons Archive, which digitally resurrects Robot Masters from Mega Man through Mega Man 9, and which is clearly the greatest fortress boss in the series’ history. But when I play it, I don’t feel engaged. I go through the motions. Even now that I actively tried not to go through the motions, I ended up going through the motions. 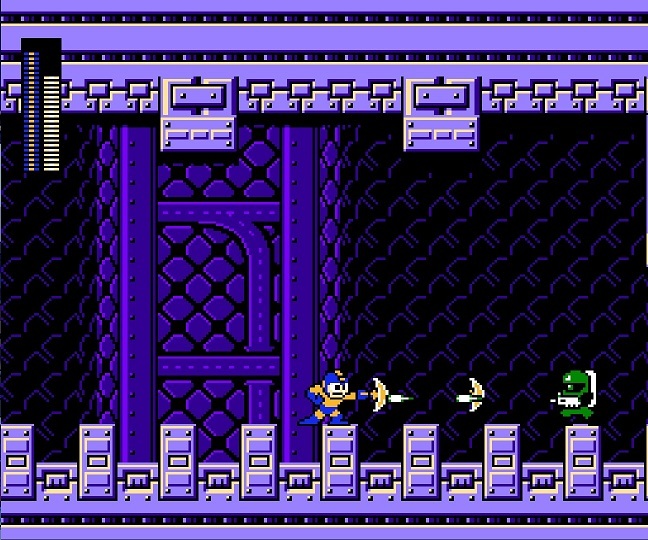 Mega Man 10 feels like a game on autopilot. It’s chock full of solid ideas, but it doesn’t push any of them far enough. Playing through it this time – my first time in a few years – I realized that even the highlights I remembered weren’t all that great. Commando Man’s sandstorms, now that I know how to deal with them, don’t require me to do anything but hold down a single button. Nitro Man’s traffic segments occupy just a few screens, and they don’t ask anything more from you than a handful of decently timed hops. 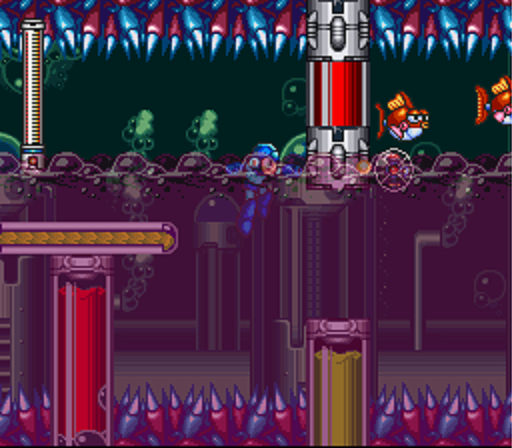 The reverse-gravity Wily stage does absolutely nothing with its gimmick; literally anything you could think to do with an upside-down stage would be better than what we actually get here. It feels half baked. It’s a great concept that doesn’t quite go anywhere. 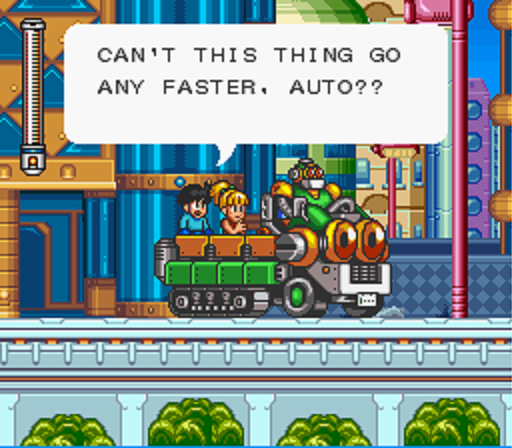 And that’s Mega Man 10 in a nutshell. There’s so much I love about it, but so little that lives up to its potential. 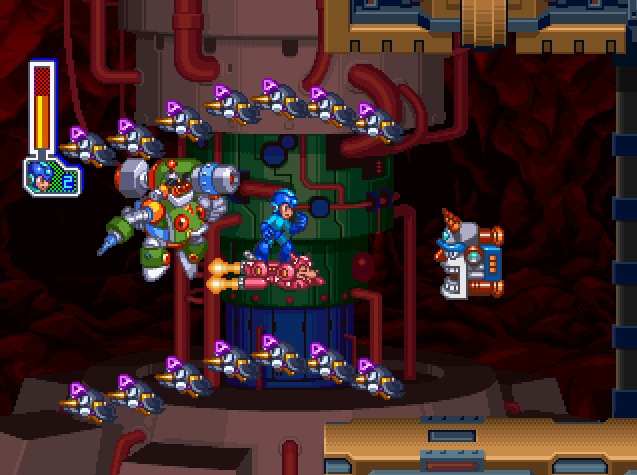 Mega Man 9 was nearly perfect because IntiCreates clearly took the time it needed to make it perfect. 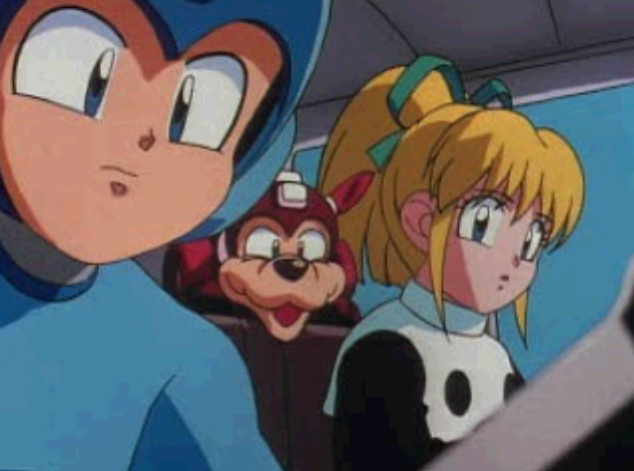 Mega Man 10 is another story. It feels like the team came up with good ideas, but didn’t take the time to truly refine them. It was enough for them to create an upside-down stage; they didn’t see the need to figure out what might be done with that. It was enough for them to come up with interesting weapons; they didn’t see the need to give players a reason to use them. It was enough for them to come up with a fun story; they didn’t see the need to actually show us that story’s own ending. It seemed like a lesser shadow of what immediately preceded it, mixed with the lack of care and inspiration that plagued the weakest games in the series. It was still good, it just wasn’t great. 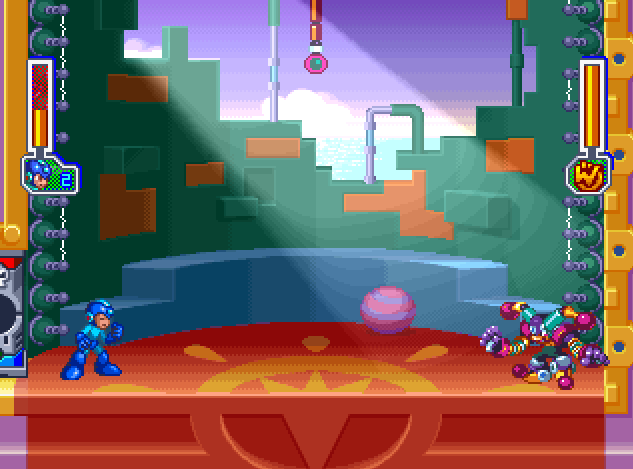 And that represents a big step down when Mega Man 9’s entire thesis was that the series could still be great. There are reasons enough to tool around with it. The soundtrack. The interesting approach to weapon design. The returning endless mode, which isn’t quite as good as Mega Man 9’s but is still a nice time waster. 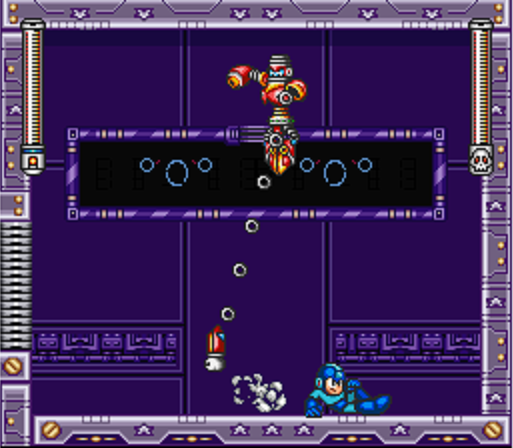 The difficulty selection, which doesn’t just alter damage dealt and taken – as it did in Mega Man 2 – but actually changes enemy types, boss attacks, and certain obstacles. 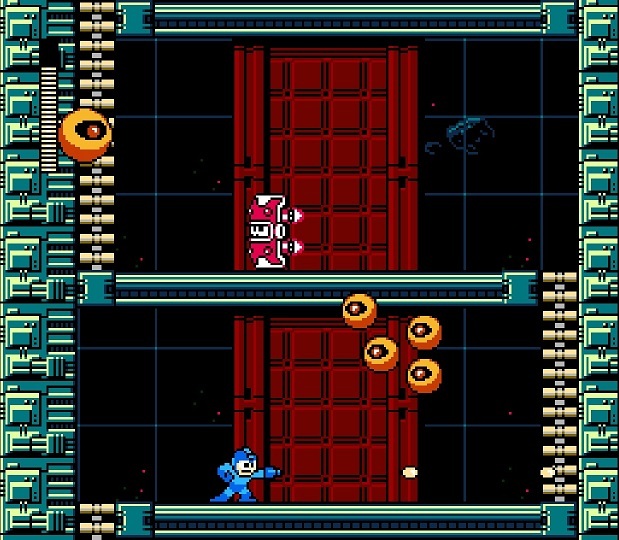 The ability to play as both Proto Man and Bass. But there aren’t enough reasons to come back to it frequently. 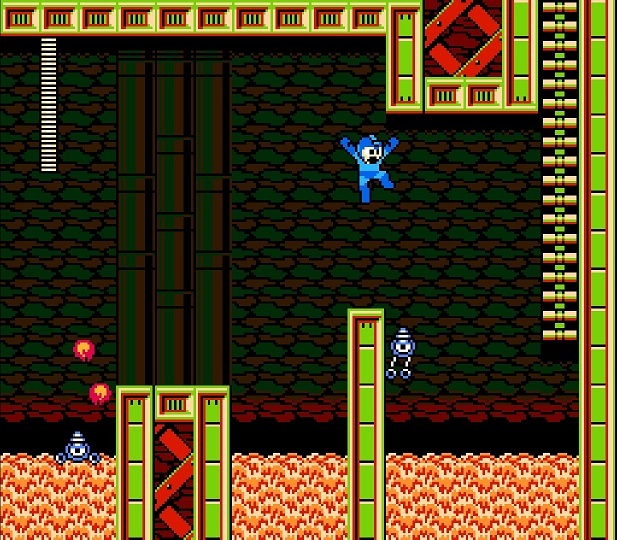 When I played Mega Man 9, I fell in love the same way I did way back when I played Mega Man 2. I wanted to get better at it. I wanted to experiment with it. I wanted to master it. 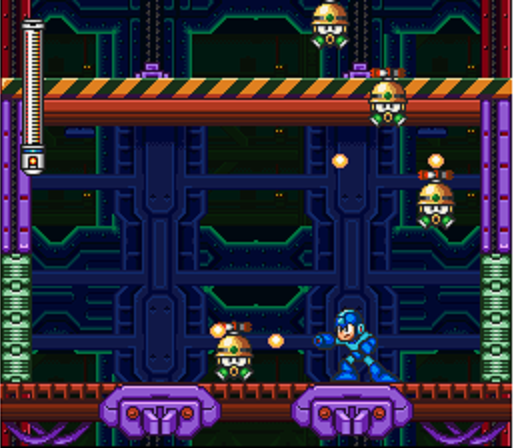 With Mega Man 10, I just want to like it. And for everything that I do enjoy – again, I enjoy a lot of it – there are two or three things I don’t. Or which feel undercooked. Or which I don’t think were entirely thought through. And then…that was it. Rumors circulated about a Mega Man 11 for a while, and I’d be shocked if that wasn’t at least considered by IntiCreates. 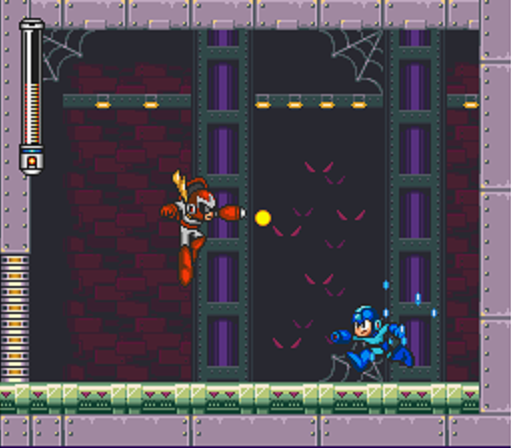 Rumors also circulated about a Mega Man X9 in the style of the SNES games. That might have been wishful thinking, but I’d still wager IntiCreates batted the idea around to some degree. 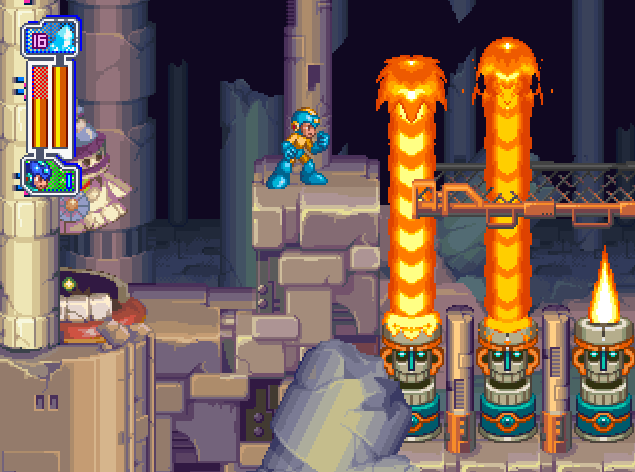 Then, in October 2010, seven months after Mega Man 10’s release, Keiji Inafune left Capcom. 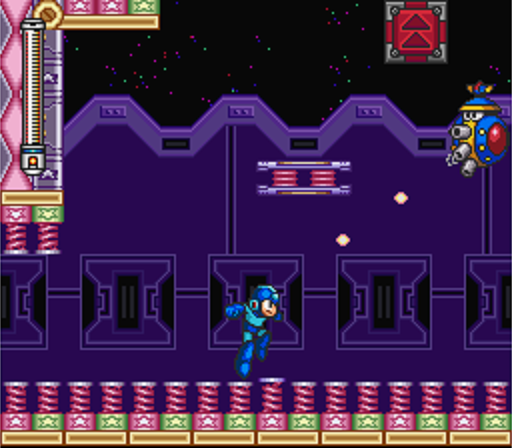 Inafune is often considered the father of Mega Man, and though the character was designed before he joined the development team for the first game, Inafune had a strong hand and important role in guiding the series from there. 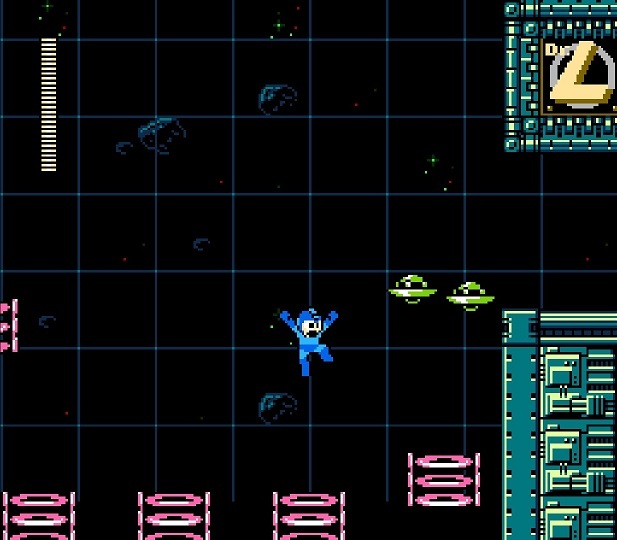 He did not create it, but he doubtlessly helped define it, and for nearly all of the Blue Bomber’s life, Inafune was at the helm. His departure from Capcom did not seem at all to have been on good terms, and that seemed to suggest the death of the series. 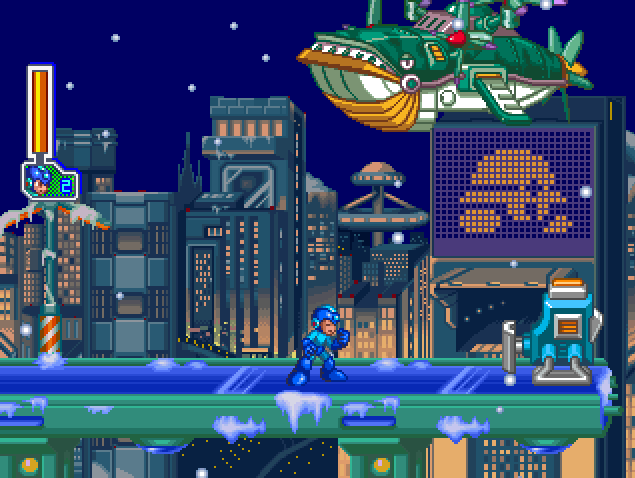 Inafune no longer had the rights to create Mega Man games. Capcom could certainly have continued making them without him, but they wasted little time in proving that they didn’t intend to. 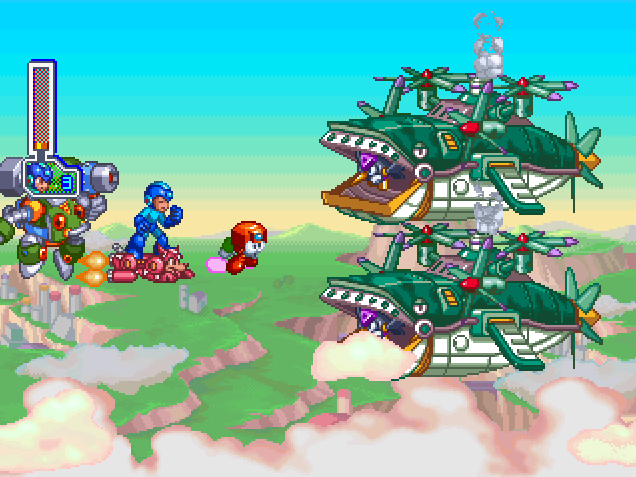 The year after Mega Man 10 was released, Capcom cancelled the two high-profile Mega Man games they had in the pipeline: Mega Man Legends 3, and Mega Man Universe, which was a game creation tool that seemed like it would be very similar to the approach later taken by Super Mario Maker. And that wasn’t all. 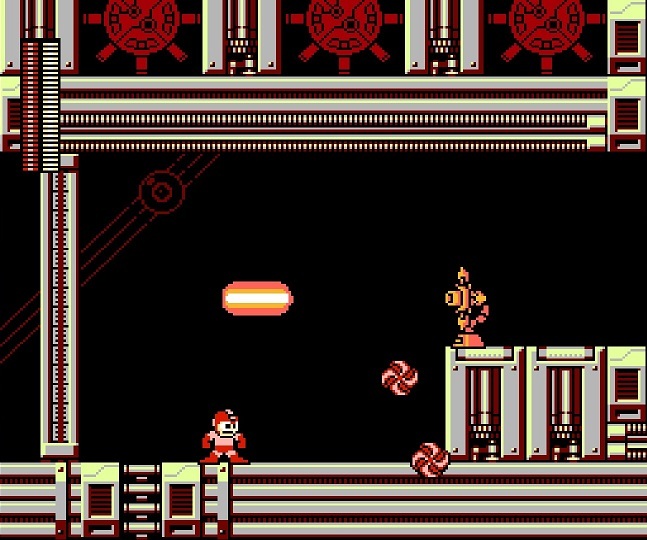 An odd, little-discussed game called Mega Man Online was officially cancelled in 2013, though rumors of its death began circulating long before that. Eventually we even learned that Capcom had also cancelled a first-person shooter set in the Mega Man X timeline called Maverick Hunter. It was cancelled the same year Inafune left the company, and by all accounts he was the one who got development on that project started in the first place. 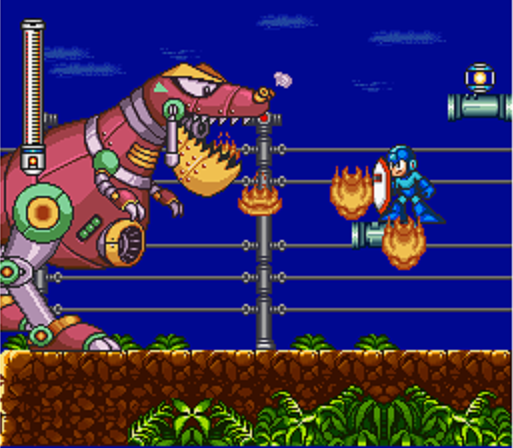 Capcom, perhaps out of spite, was killing everything with the Mega Man name on it. 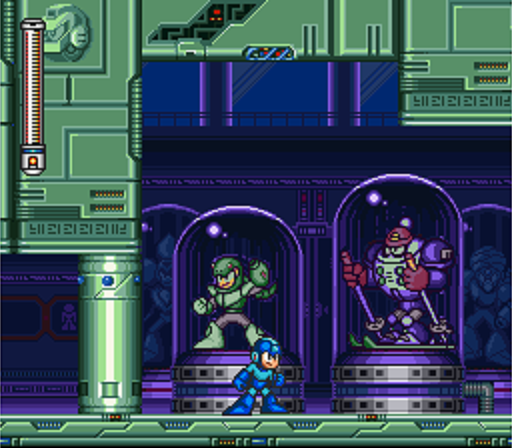 Their only true release was Street Fighter x Mega Man, and that was just a free download of a fan game that Capcom released through official channels. It was extraordinarily poor. That was it. 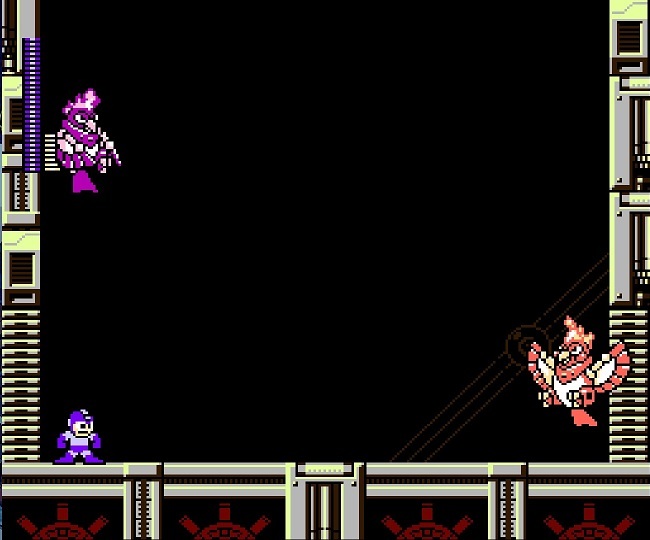 Mega Man made a truly welcome addition to the Super Smash Bros. roster in 2014, but a fighting game – however good it is – will never scratch the side-scrolling, platforming, robot-smashing itch the series was known for. Time passed. Capcom, Inafune, and IntiCreates all moved on to different projects. 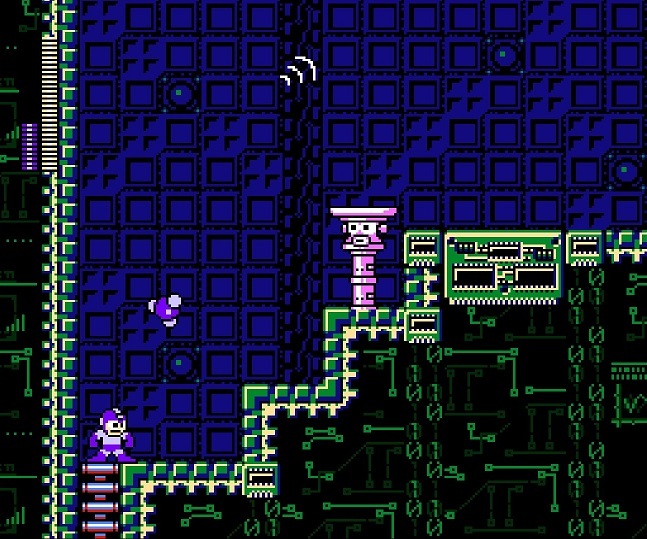 Some of them drew clear inspiration from Mega Man, and most of them did not. Capcom released a few dolls, eyeglasses, and tissue boxes over the years to periodically cash in on the recognition of a brand they had no interest in resuscitating a second time. 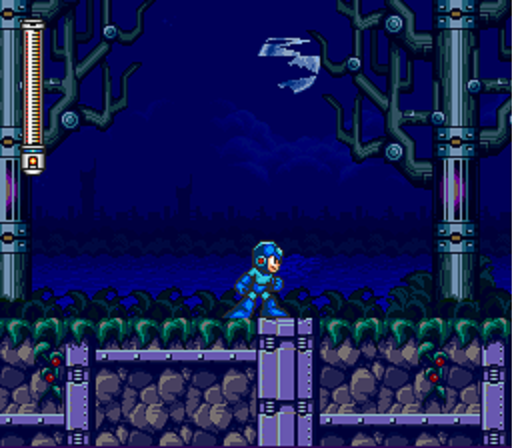 We lost Mega Man all over again. The long-abandoned fans that had finally seen their favorite series reborn with a great game followed by a good one were robbed of it once more. 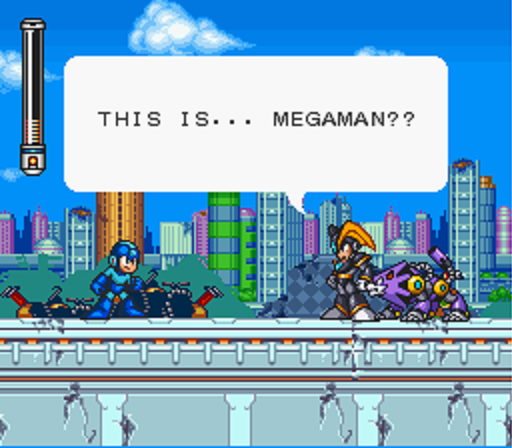 Mega Man came back just long enough for his departure to sting. Now fans had two more games they could reflect on with longing, but that was small comfort. 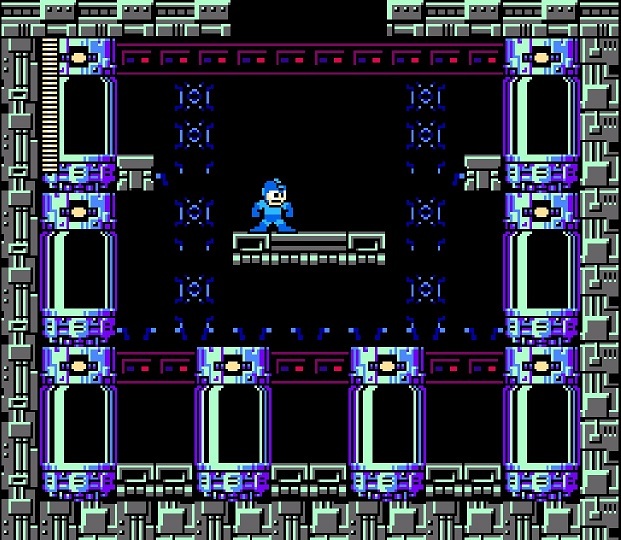 Mega Man was rebuilt just to be lost to whatever bitterness existed between his lead designer and the company that once treated him so well. 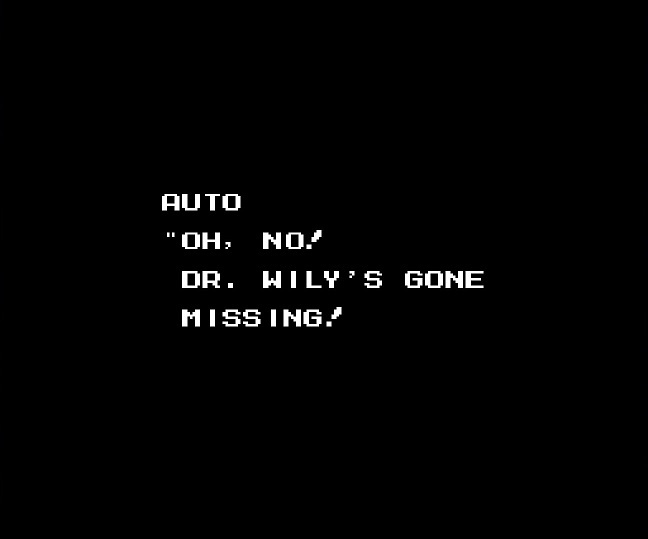 Dr. Wily, finally, stopped coming back. That’s where the series ended. 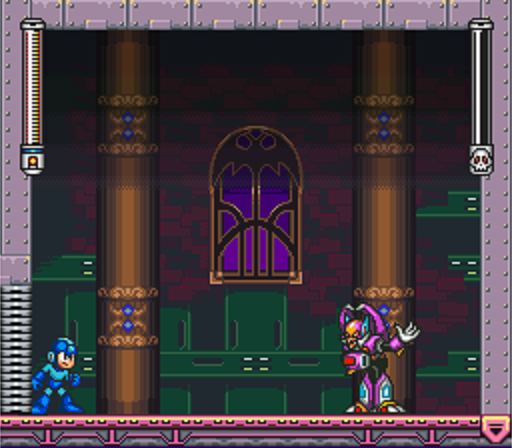 And that’s where I expected Fight, Megaman! to end as well. Maybe it still will. But, shockingly, between my review of Mega Man 8 and now, Capcom announced an Inafune-less Mega Man 11. As of this writing, they’ve released nothing but a brief trailer. 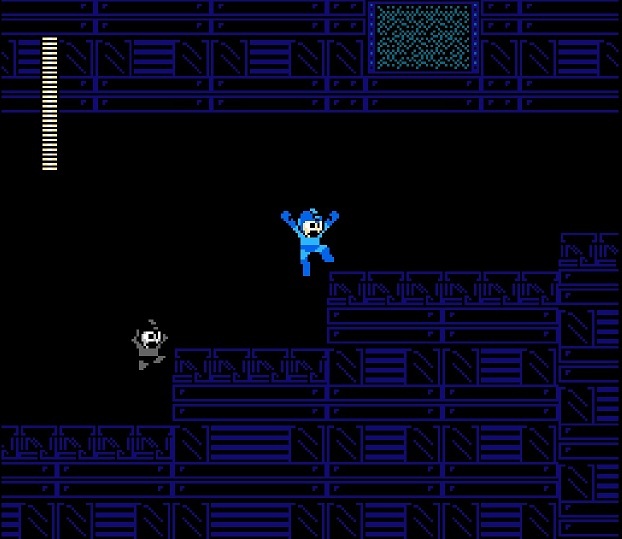 Eight years after Mega Man seemed to shut down for good, we get the promise of another game. Another chance. Another revival. Perhaps for real this time. We don’t know much about it. We know it won’t be in the 8-bit NES style. We know it will have a different lead designer. We know we want it. And so I’d love to leave you with some kind of closure. With some kind of ultimate conclusion. With some grand reflection on a series that – when I started this series – I was convinced was gone for good. Because there’s something on the horizon. 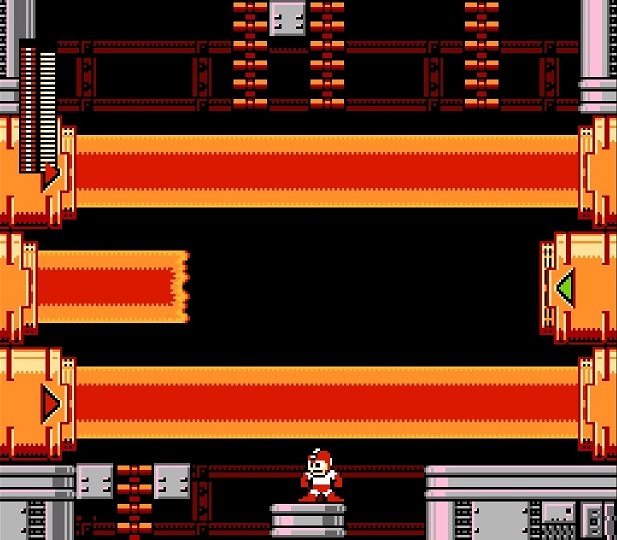 For Mega Man fans, that’s all it takes to get our hearts racing. To get our imaginations spinning out of control. To get us excited. I don’t know if the game will be very good. Statistically speaking, it won’t. I don’t know if I’ll like the things the game will clearly do differently. Statistically speaking, I won’t. 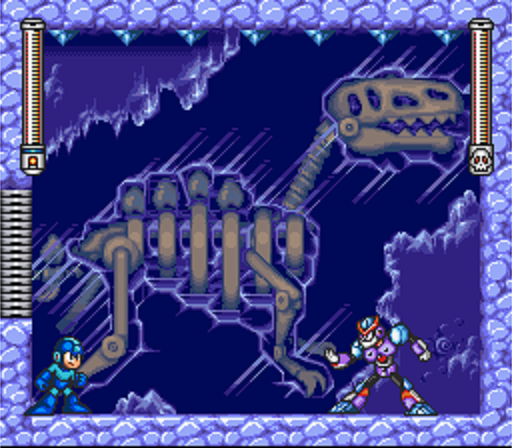 I don’t know if it can make anywhere near the same impact Mega Man’s previous resurrection made. Frankly speaking, it can’t. 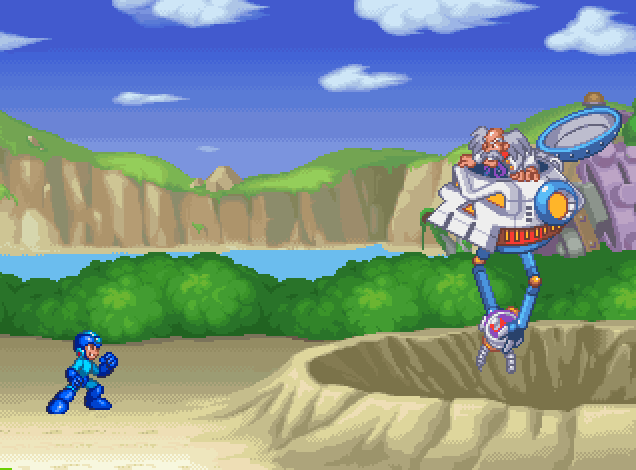 But Mega Man fans have something to look forward to. That’s something that hasn’t happened in a long time. And as Inafune proved with Mighty No. 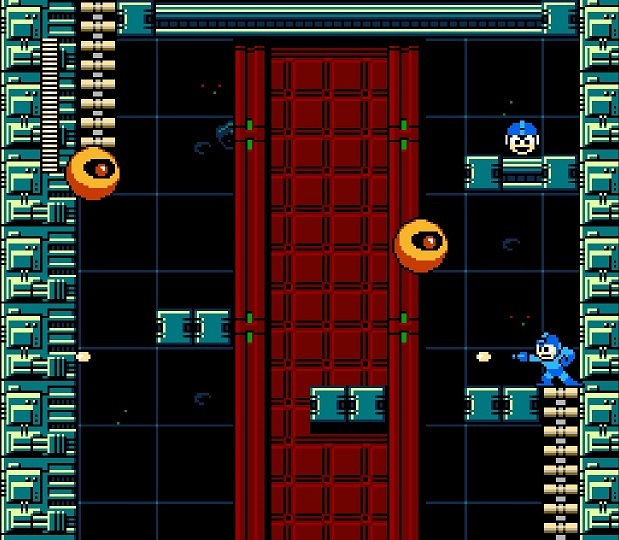 9 – his own off-brand Mega Man successor – in 2016, he might not have been the true creative genius in the room after all. Maybe Capcom still has the magic. Maybe Mega Man 11 will evolve the series in a direction that actually works. Maybe I’ll spend 7,000 words in a year or so gushing about everything it does exactly, perfectly, incredibly right. 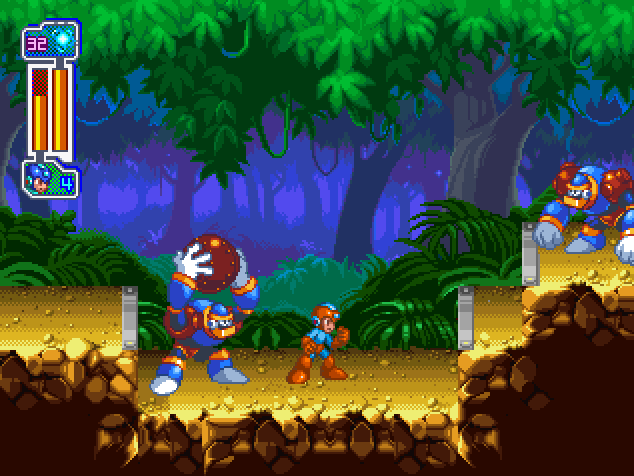 All I know for sure is that I’ll play it on day one, and I’ll do so as I’ve done with every single previous Mega Man release: like an excited child, just glad to see his old friend again. 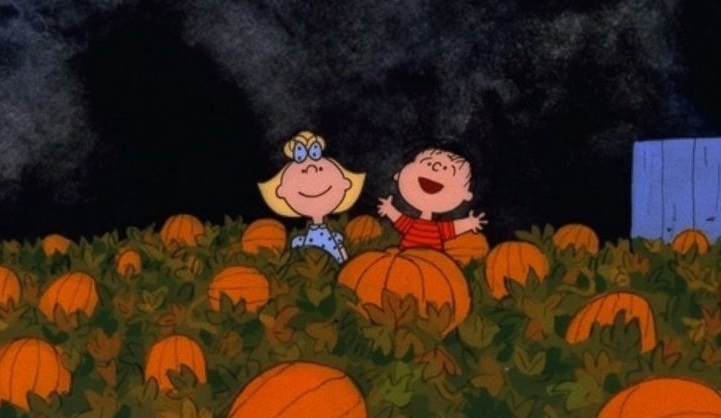 Posted on October 1, 2017 March 31, 2018 Author Philip J ReedCategories fight megaman, Meta, trilogy of terror, xmas bash2 Comments on October News! Updates! Features!